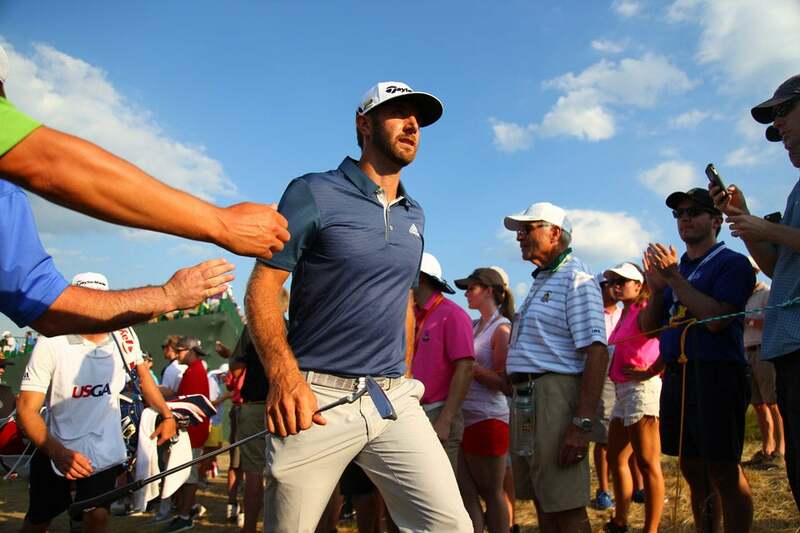 Dustin Johnson walks through the crowd during his victorious performance Sunday at the U.S. Open. 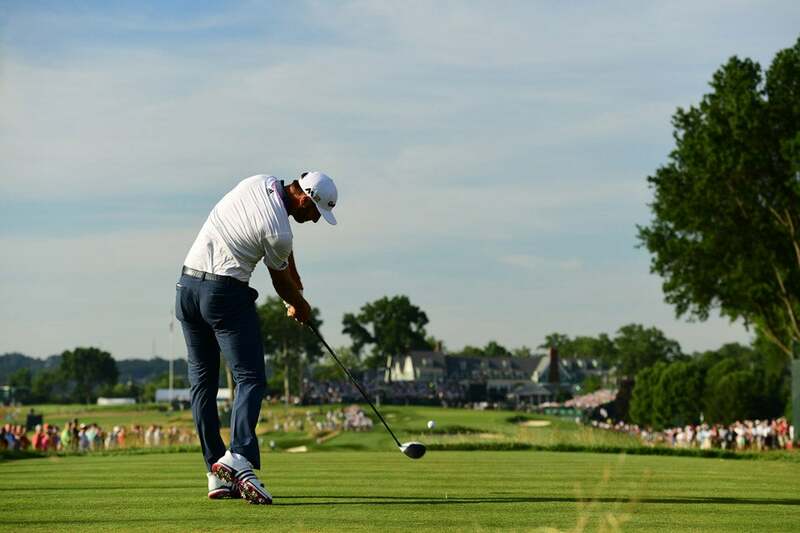 Johnson during the final round at Oakmont. 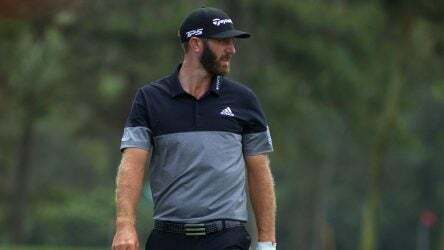 A rules official breaks the news to Dustin Johnson in the middle of the final round that he will be assessed a stroke penalty for an earlier infraction. 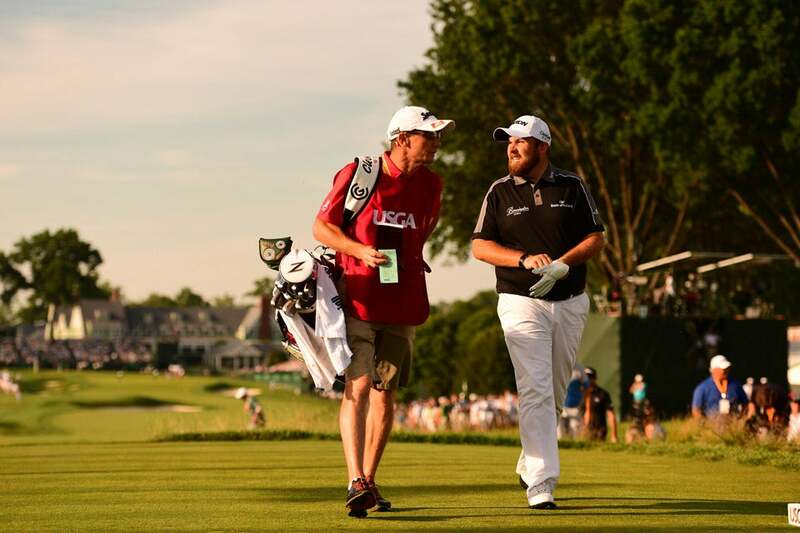 Shane Lowry was unable to hold onto his big 54-lead and finished T2. 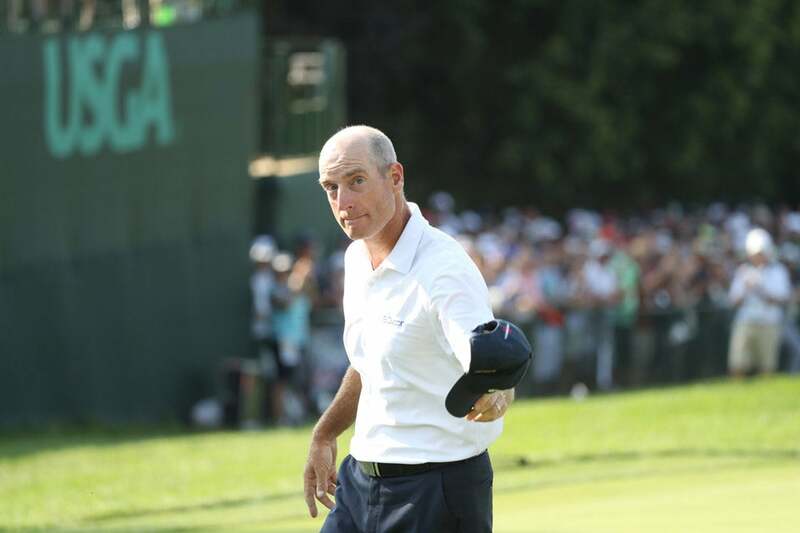 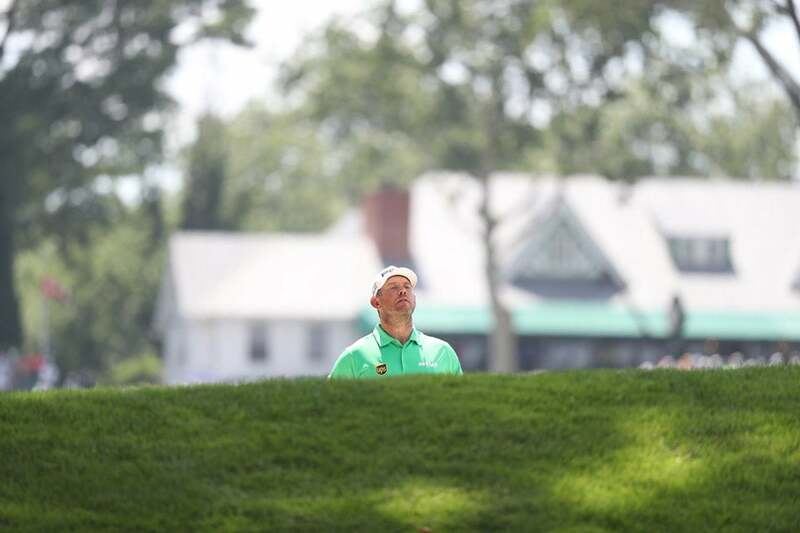 Veteran Jim Furyk had a fine performance at Oakmont but fell a few strokes short of victory. 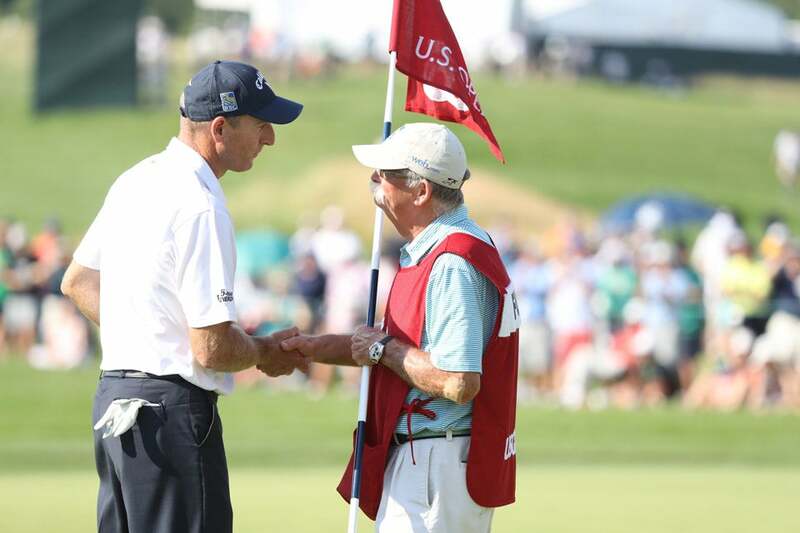 Furyk shakes hands with his caddie Mike "Fluff" Cowan following his final round. 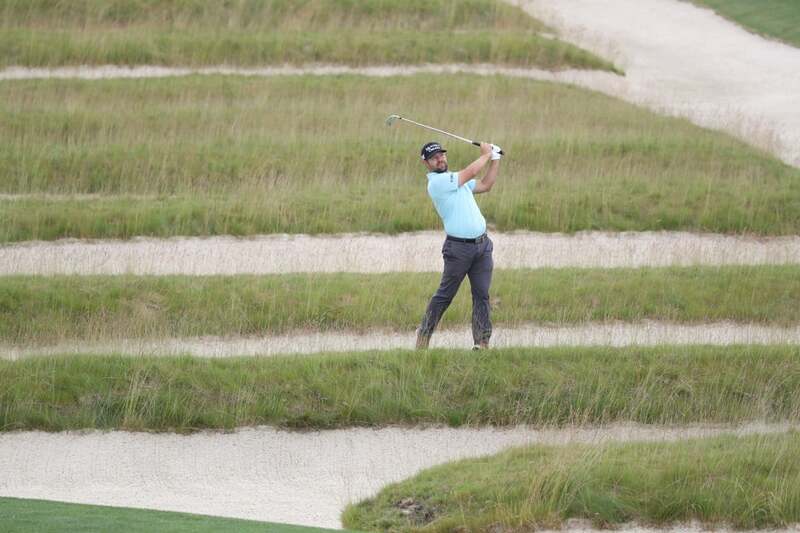 Dustin Johnson hits out of the iconic church pew bunkers during the final round. 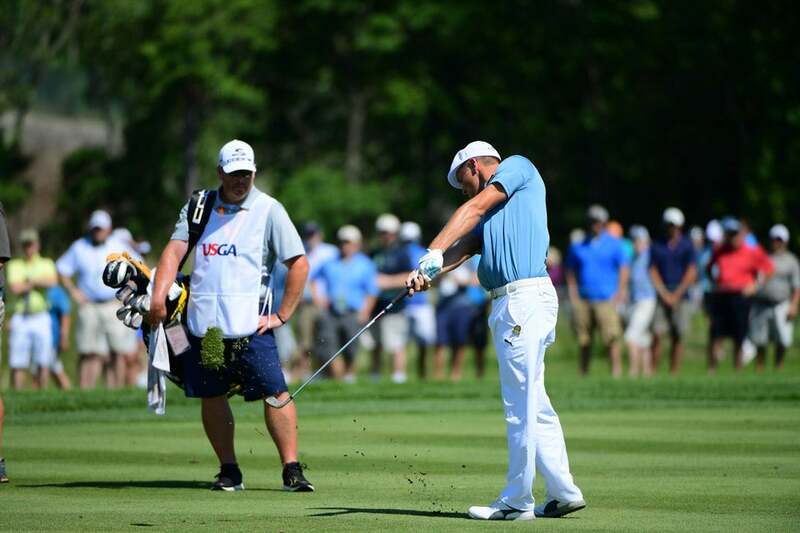 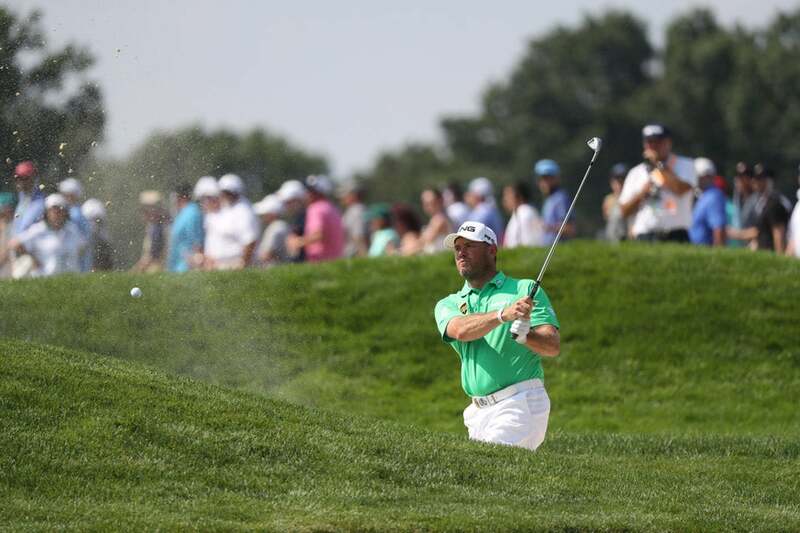 This failed bunker shot derailed Lee Westwood's round early in the final round. 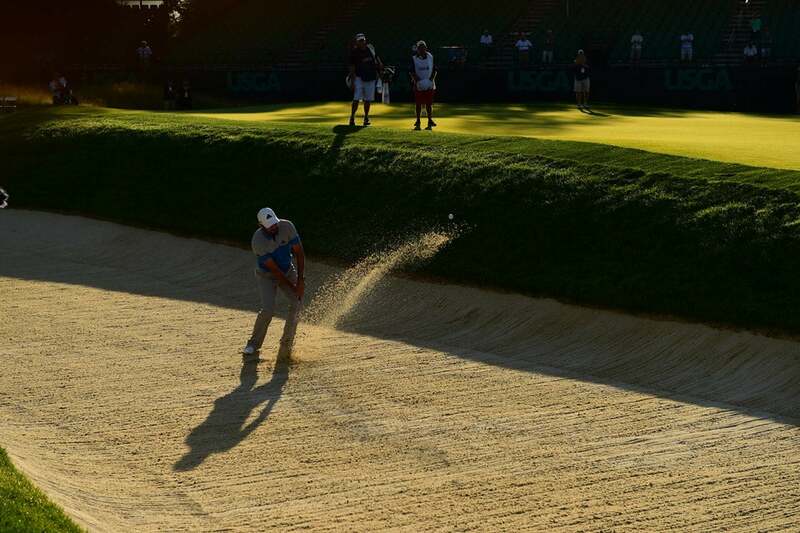 Jason Day hits a bunker shot during Sunday's final round. 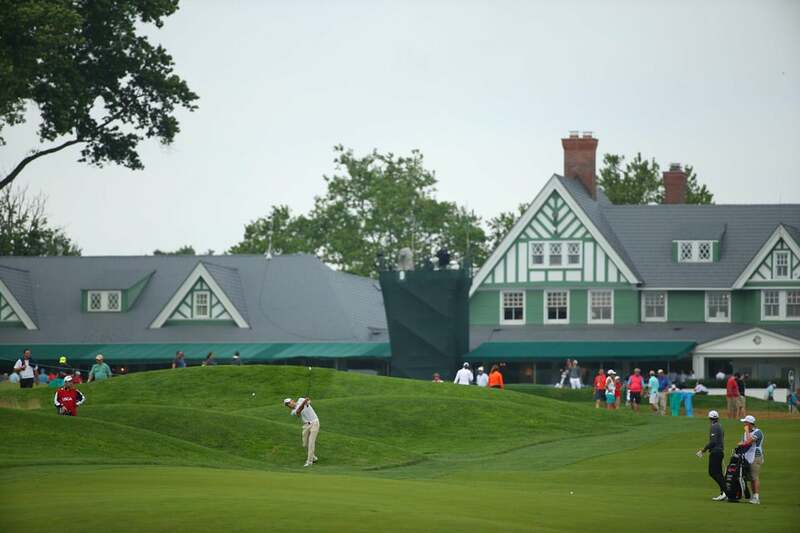 A view of the Oakmont Country Club clubhouse on Sunday. 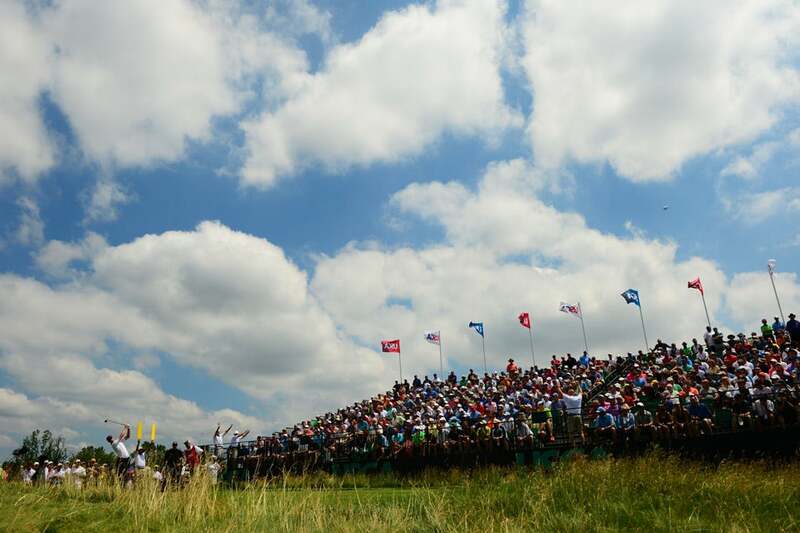 Shane Lowry added two birdies while finishing his third round Sunday morning, extending his lead to four shots. 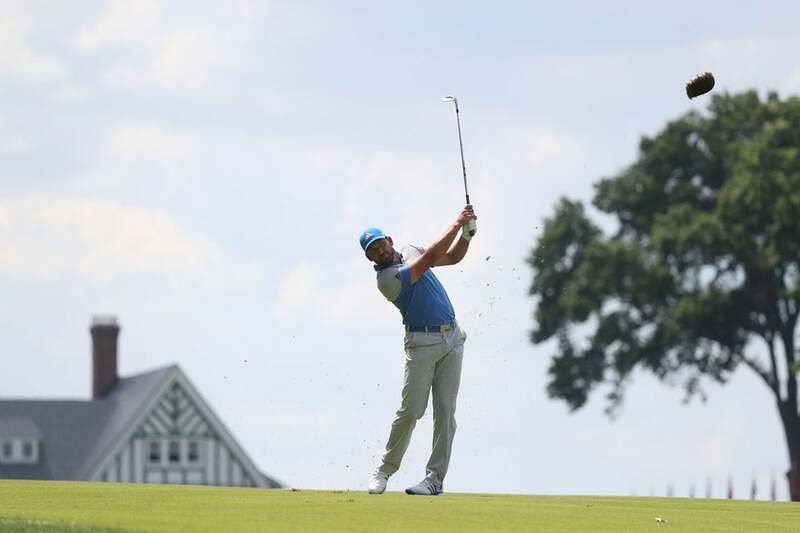 Dustin Johnson tees off on the 18th hole during the completion of his third round Sunday morning. 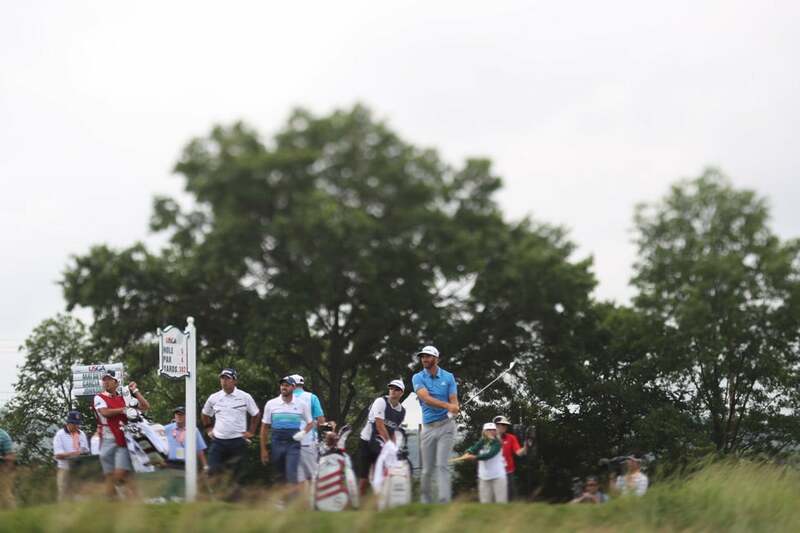 Johnson started the final round four shots behind Shane Lowry. 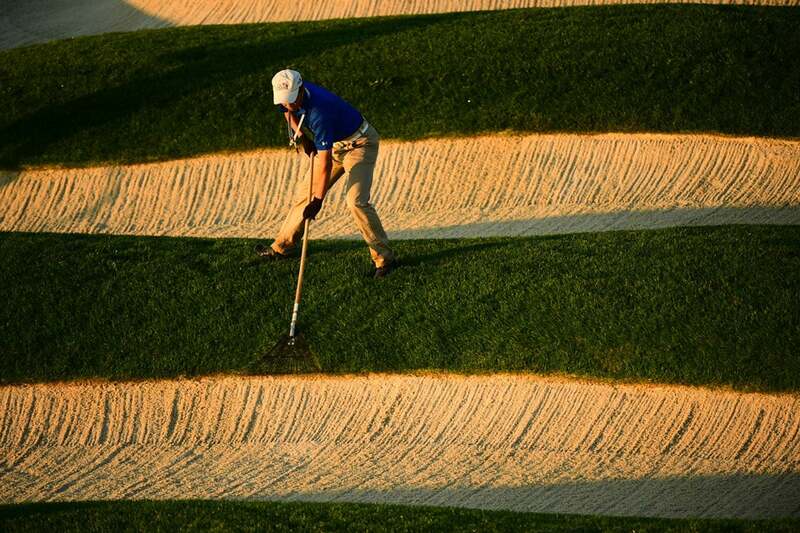 Andrew Landry escapes a bunker Sunday morning at Oakmont. 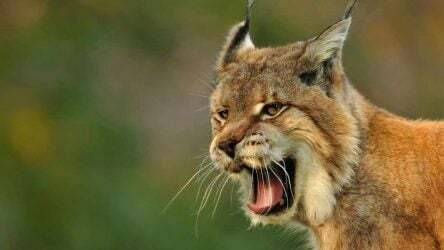 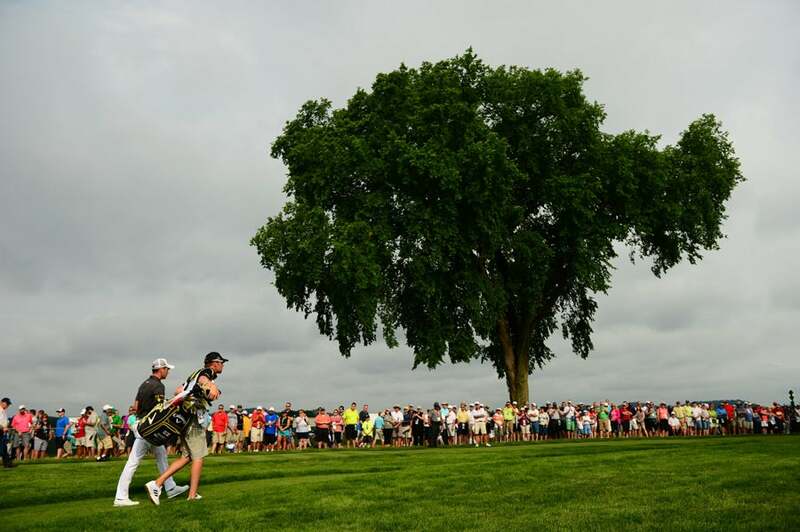 Sergio Garcia during the finish of the third round Sunday morning. 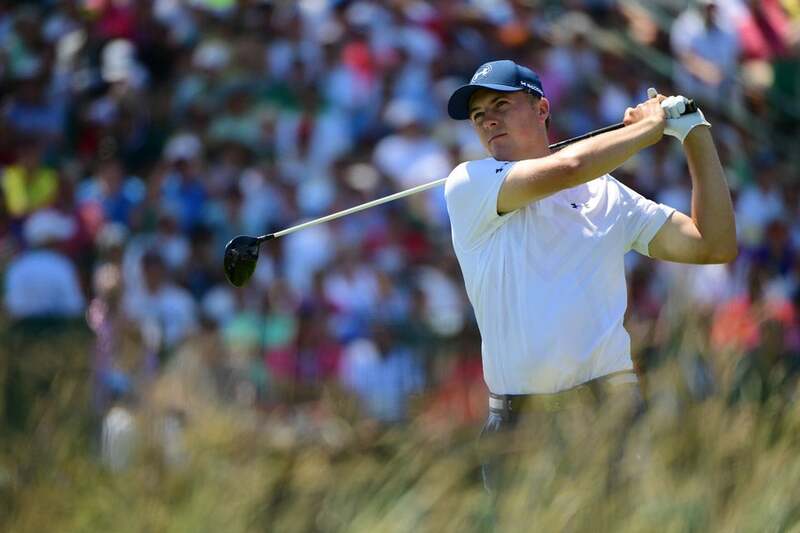 Jordan Spieth shot a two-over 72 in his second round on Saturday. 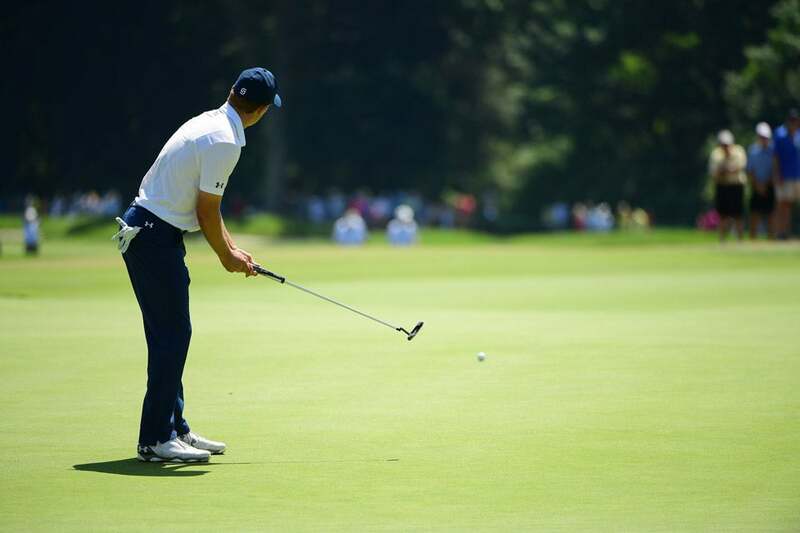 It was Spieth's second-straight 72, leaving him at four over for the tournament. 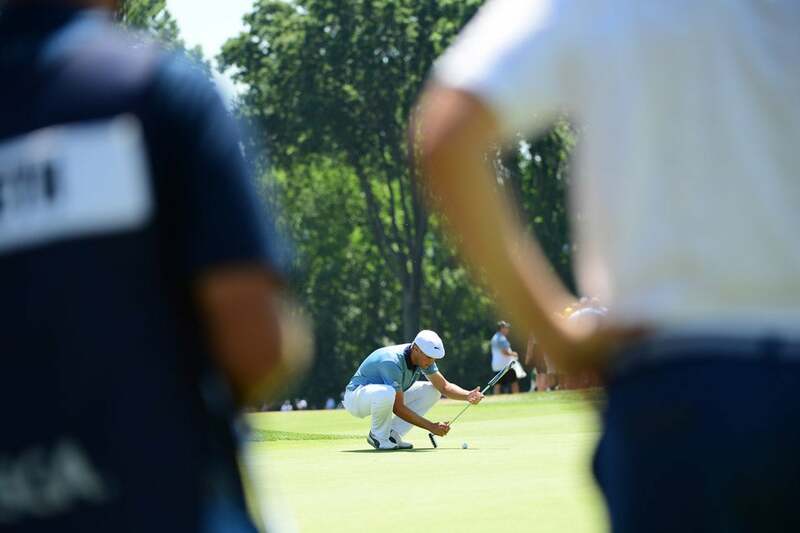 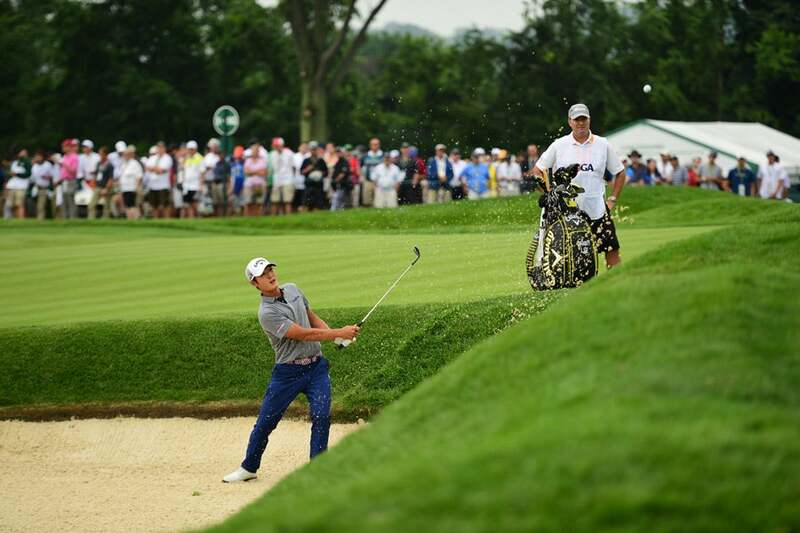 He will need to go low over the final 36 holes to defend his 2015 U.S. Open title. 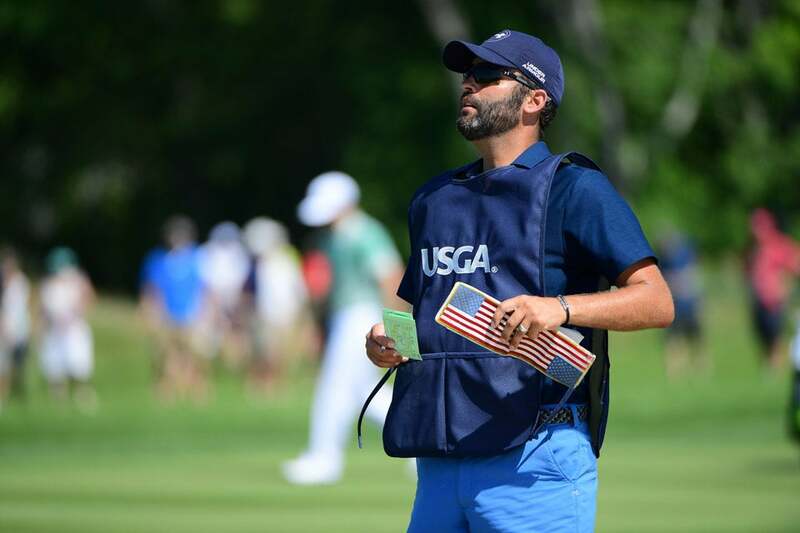 Spieth's caddie MIchael Greller on Saturday. 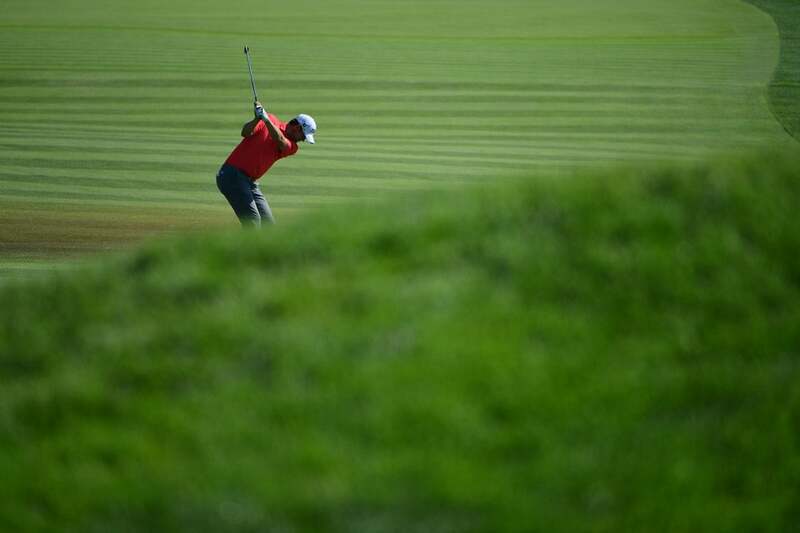 Rory McIlroy went low early but gave all the shots back later in his round. 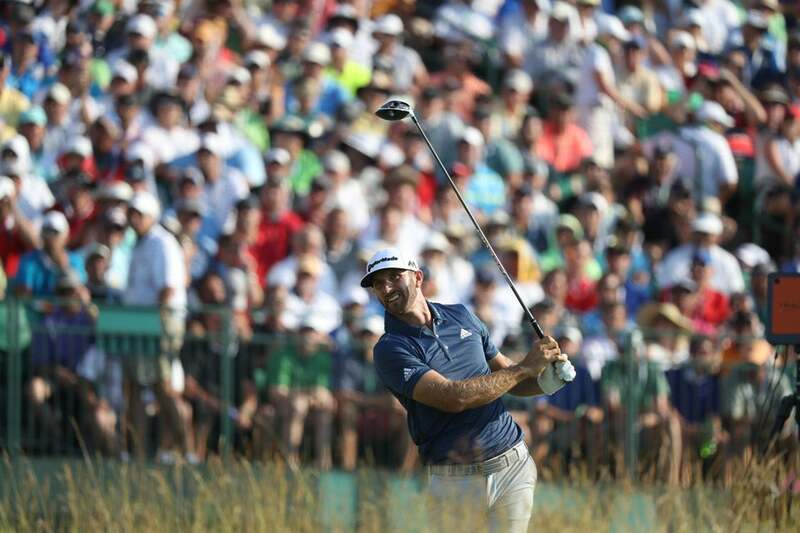 The 2011 U.S. Open champ missed the cut. 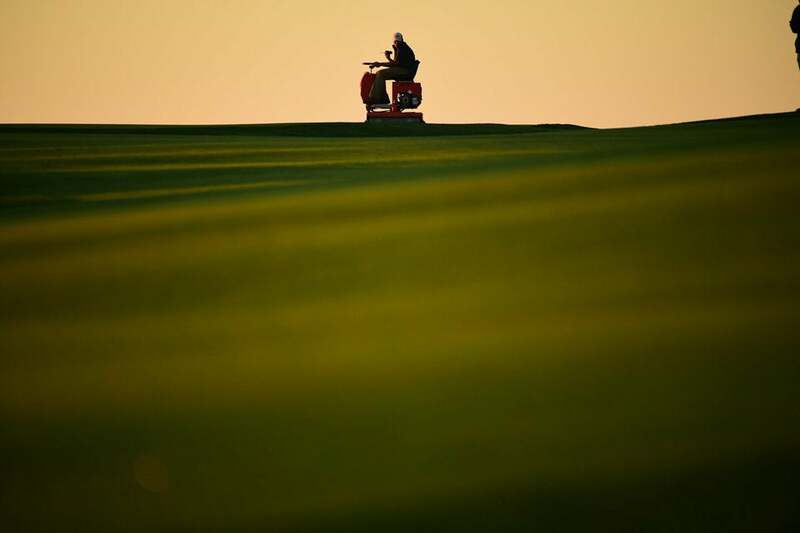 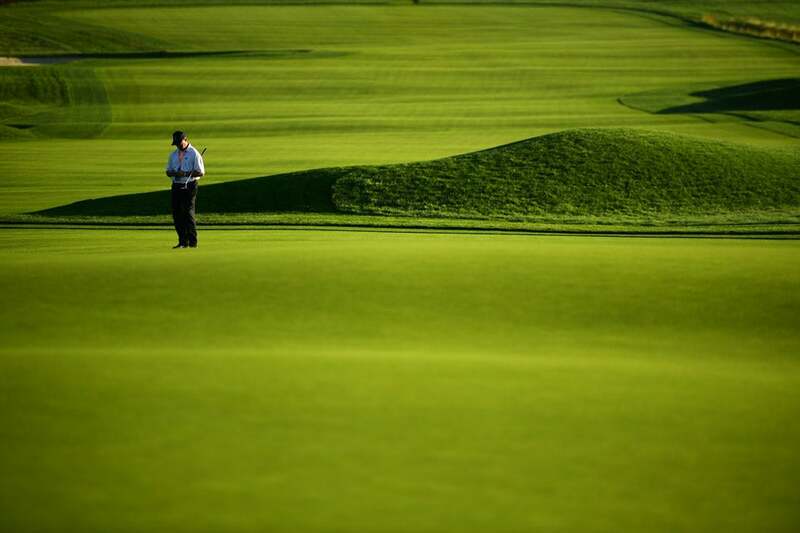 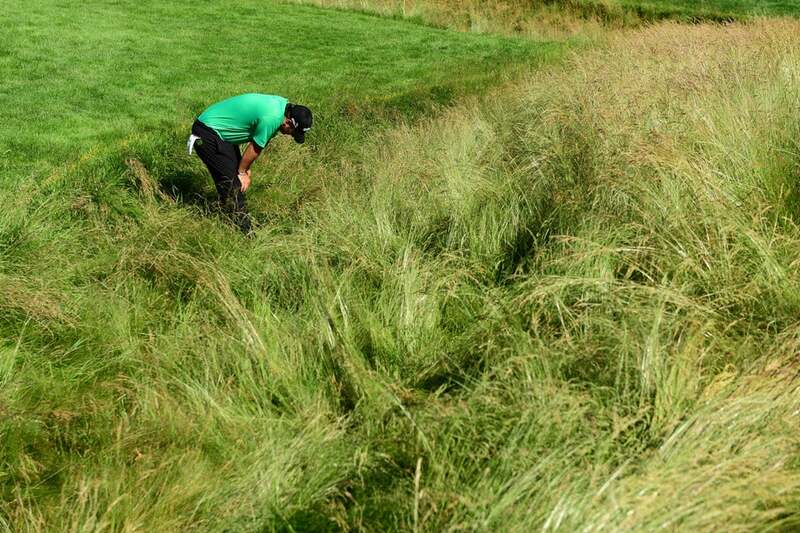 Patrick Reed searches through thick rough for his ball on Saturday. 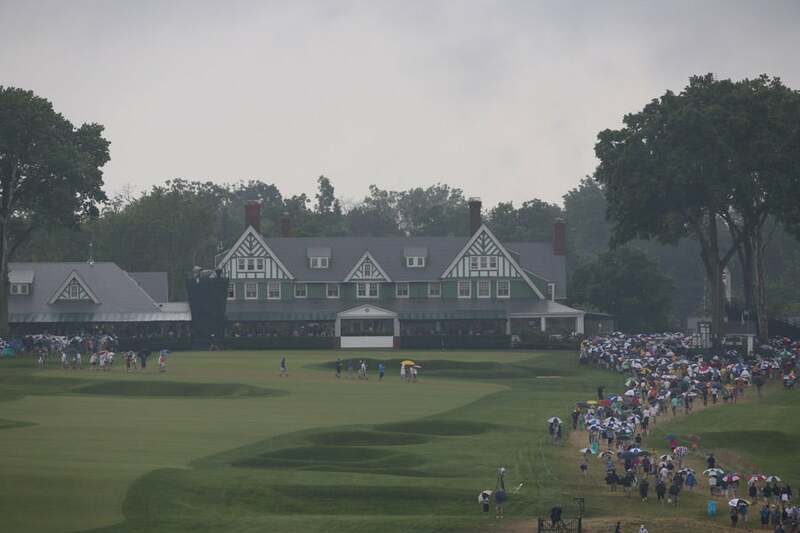 A view of the course on Saturday. 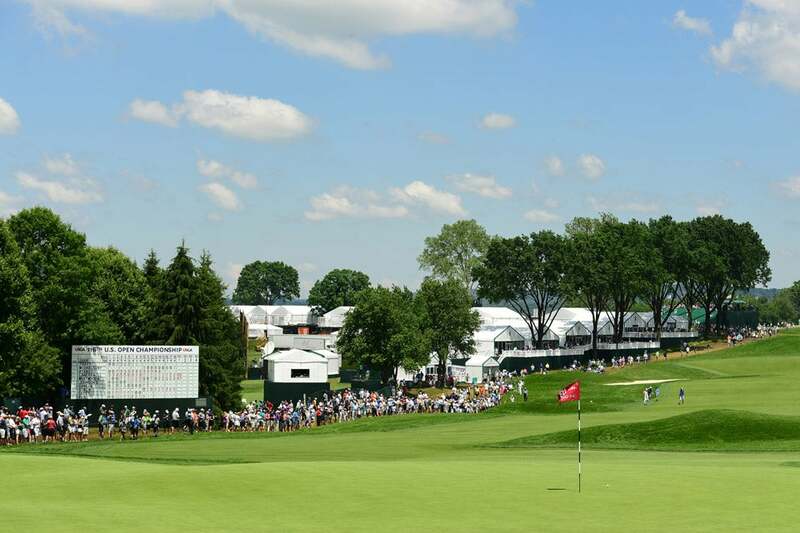 Zach Johnson shot a 69 in round 2 at Oakmont. 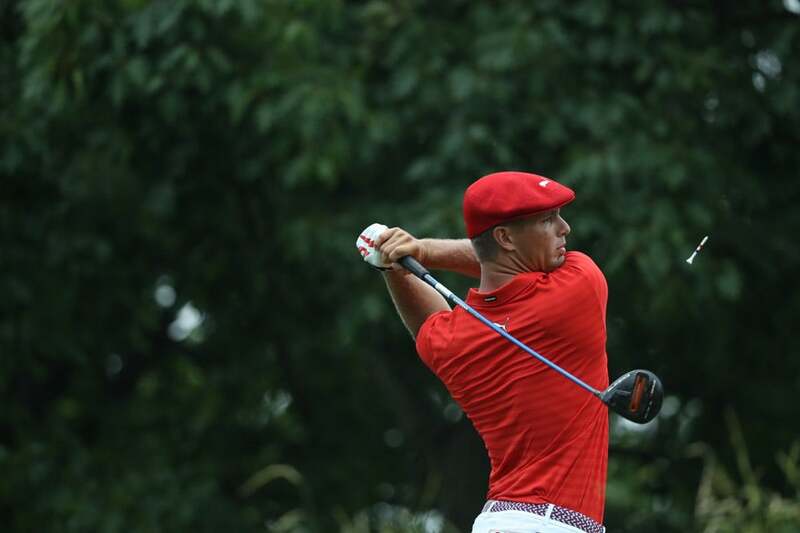 Bryson DeChambeau shot a 70 in his second round Saturday to get to one over. 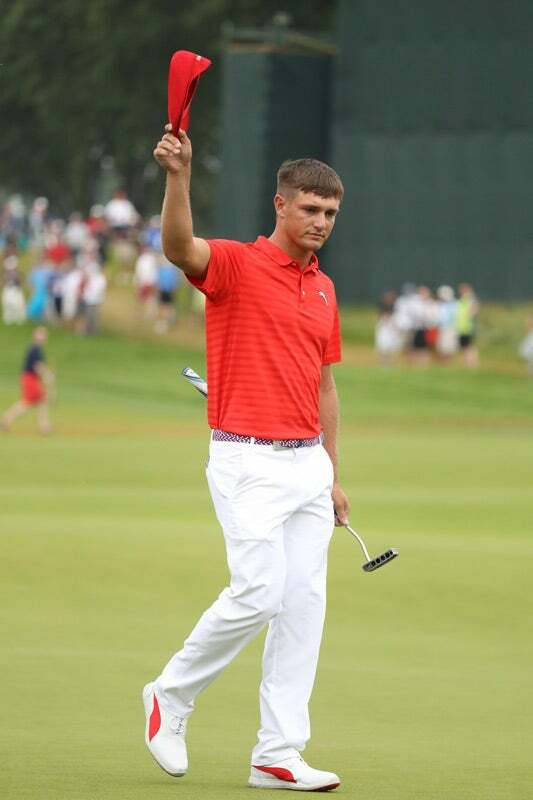 DeChambeau was only five shots off the lead to start round 3. 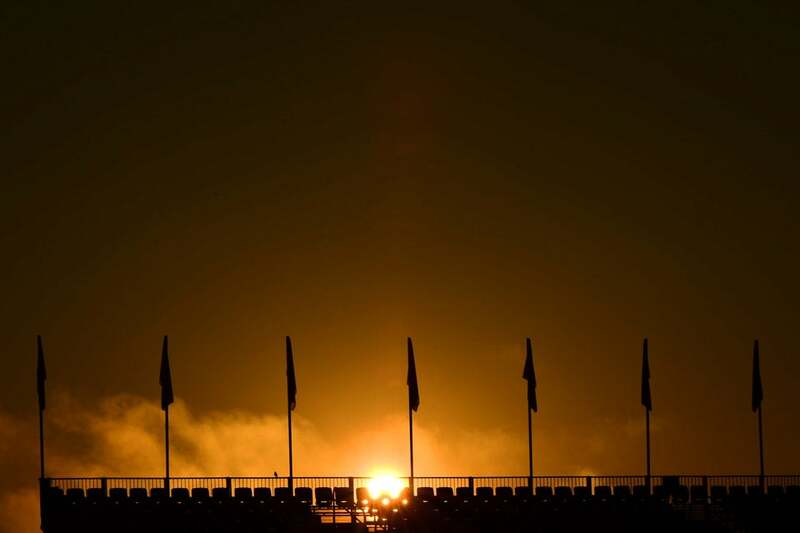 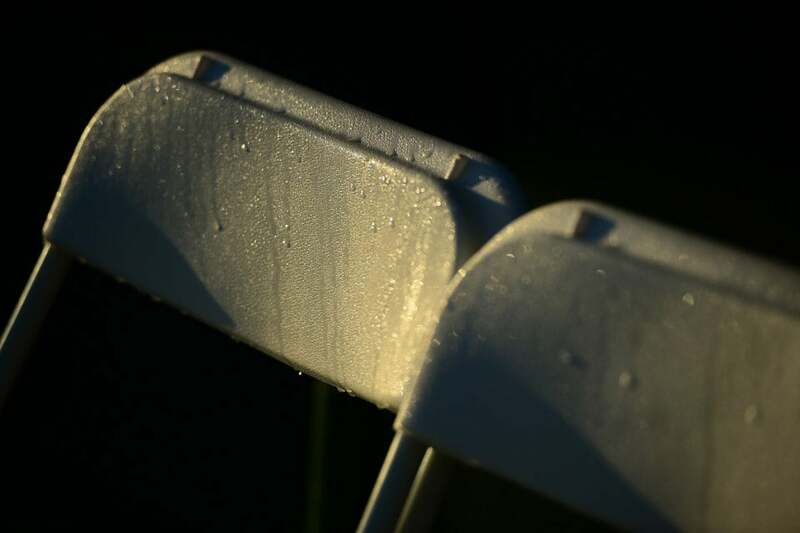 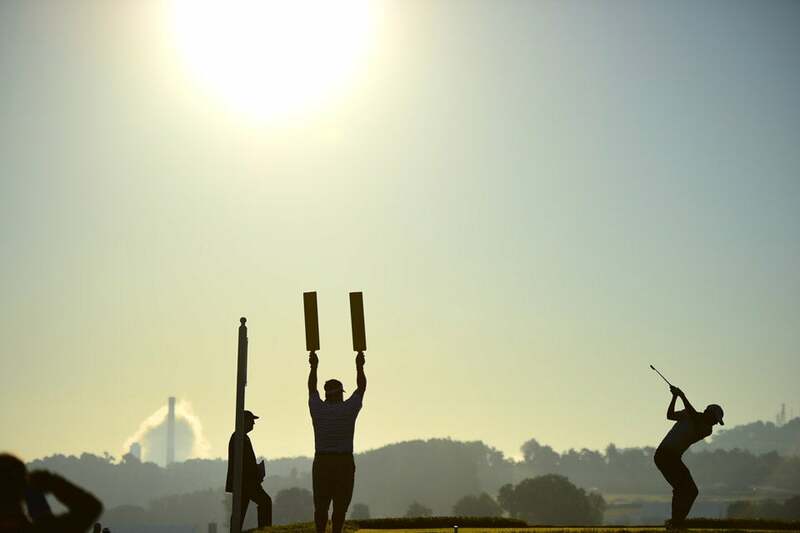 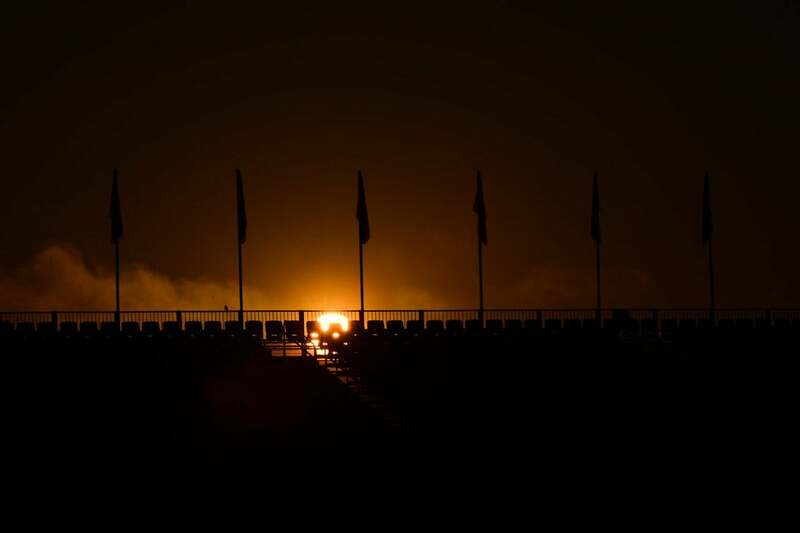 Sun rises over the grandstands at Oakmont Country Club Saturday morning. 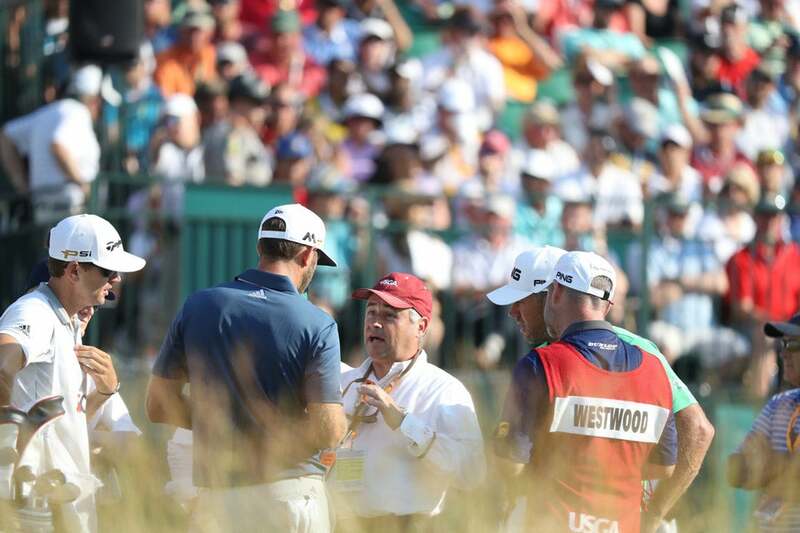 Mike Davis of the USGA inspects the course Saturday morning. 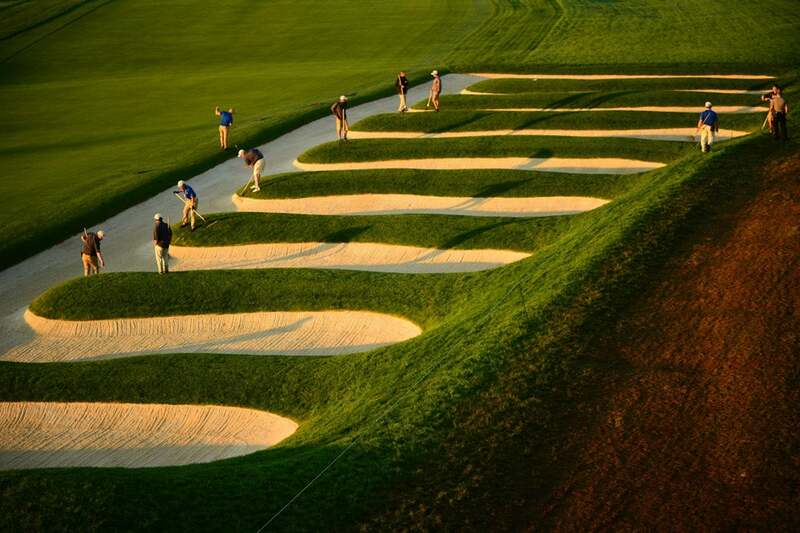 Members of the maintenance staff prepare the bunkers on the 15th hole for play. 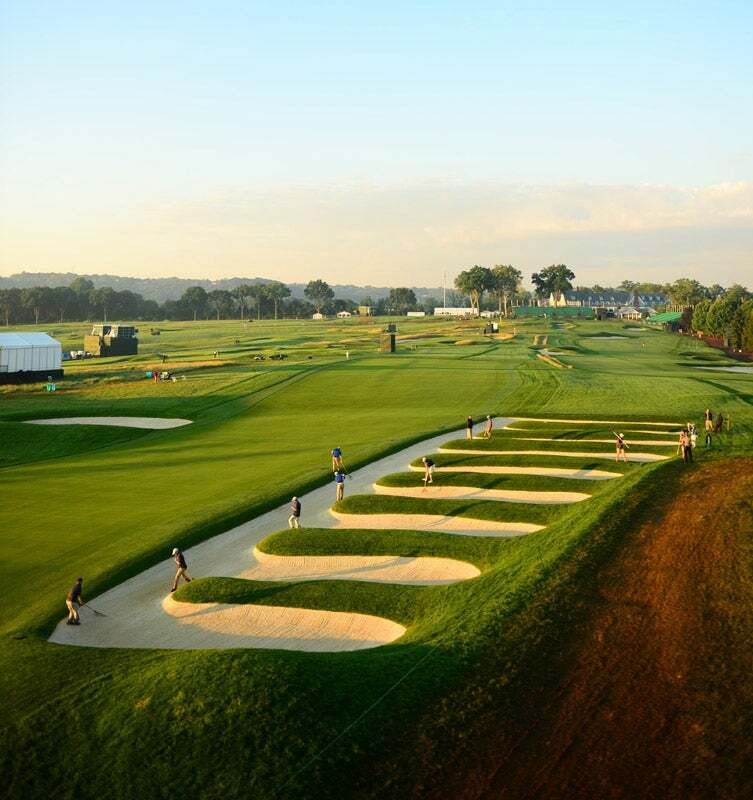 The finished product at 15. 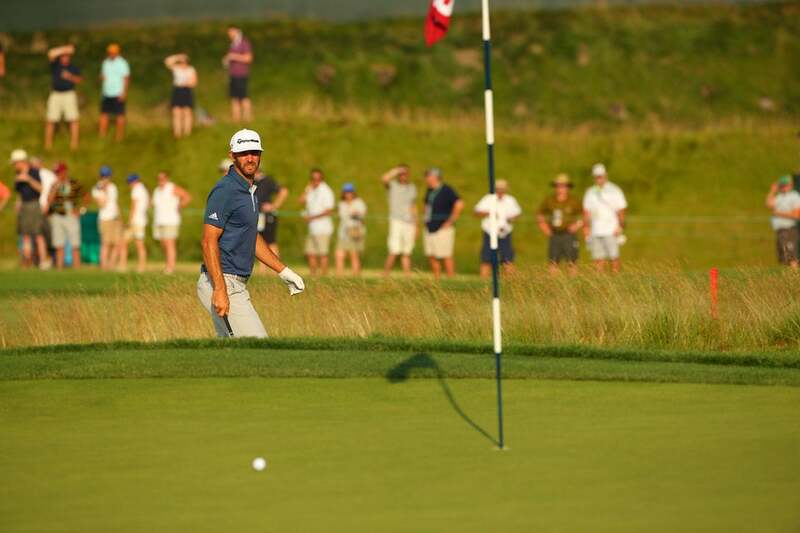 Adam Scott during the finish of the first round Friday at Oakmont. 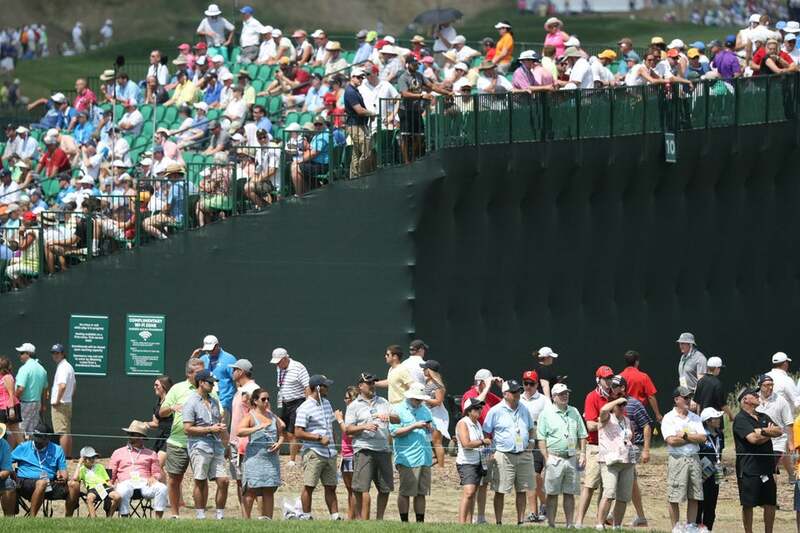 Jason Day struggled during his first round on Friday. 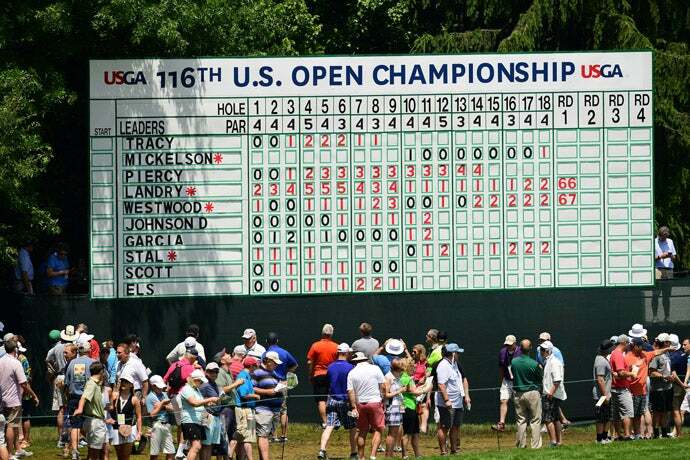 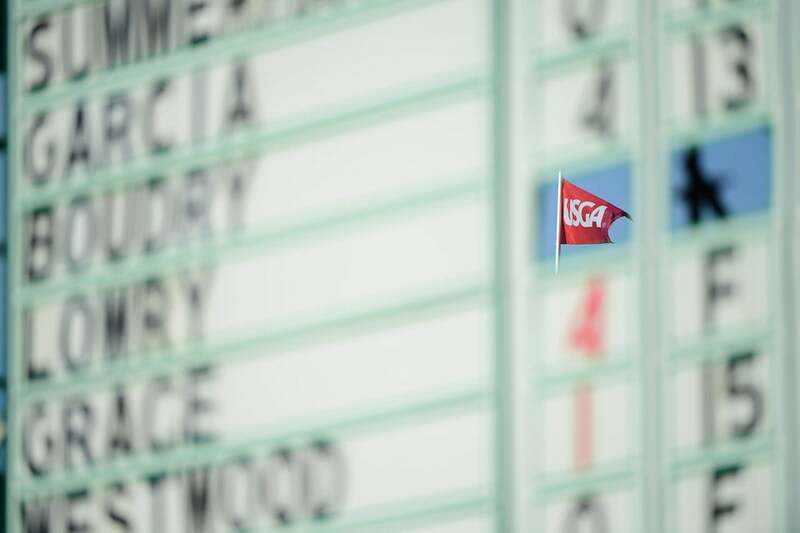 A view of one of the large leaderboards on the course early on Friday. 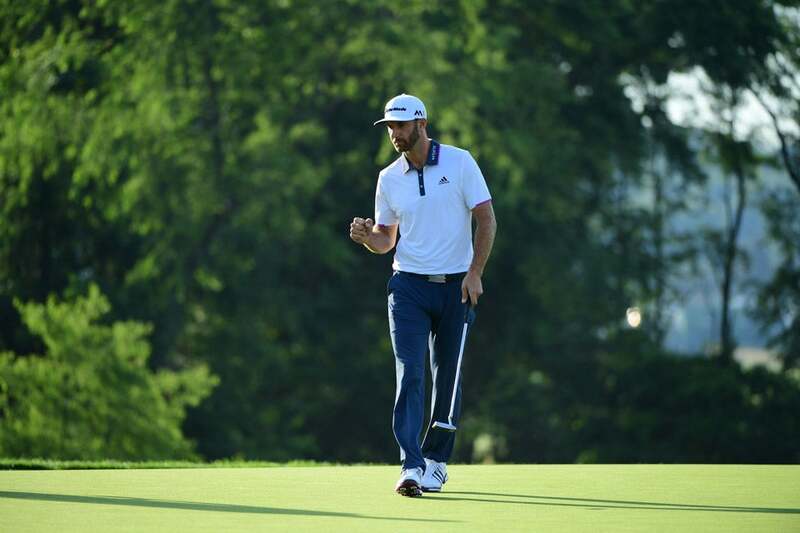 Dustin Johnson played a great first round on Friday, shooting a bogey-free 67. 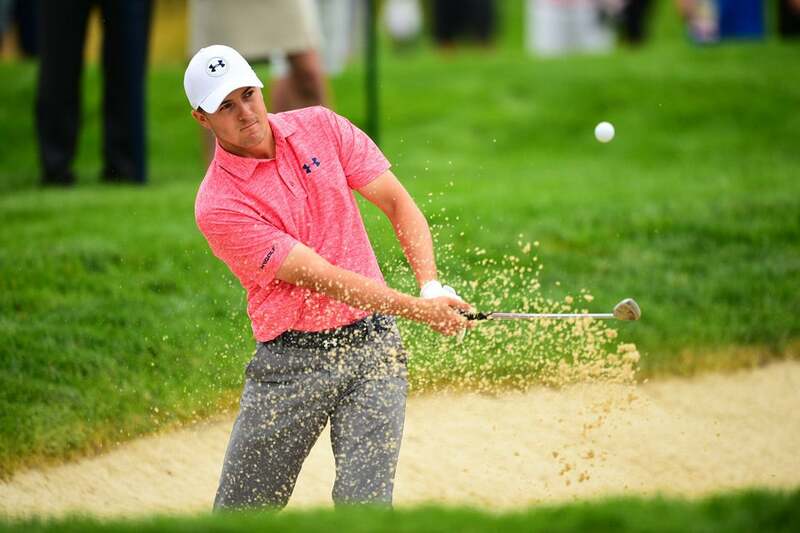 Jordan Spieth completed an opening-round 72 on Friday. 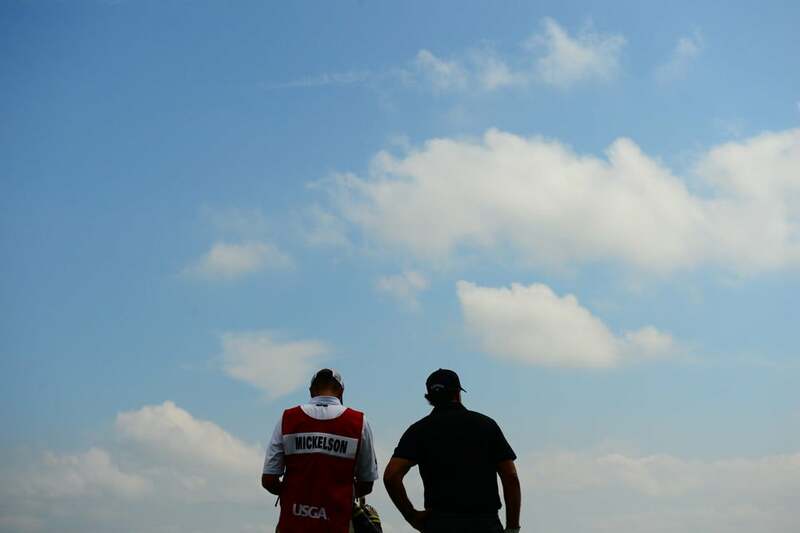 Phil Mickelson and his caddie Jim "Bones" Mackay on Friday. 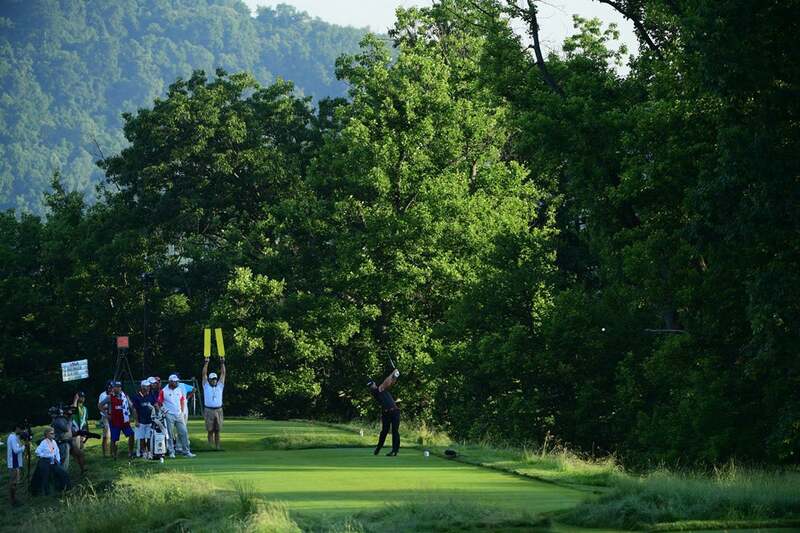 Mickelson hits from an awkward lie on the 10th hole. 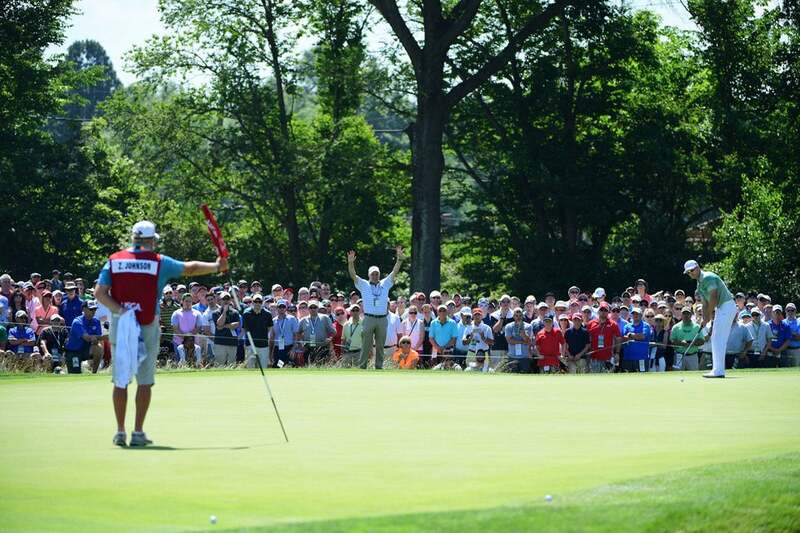 Mickelson chips onto the 10th green. 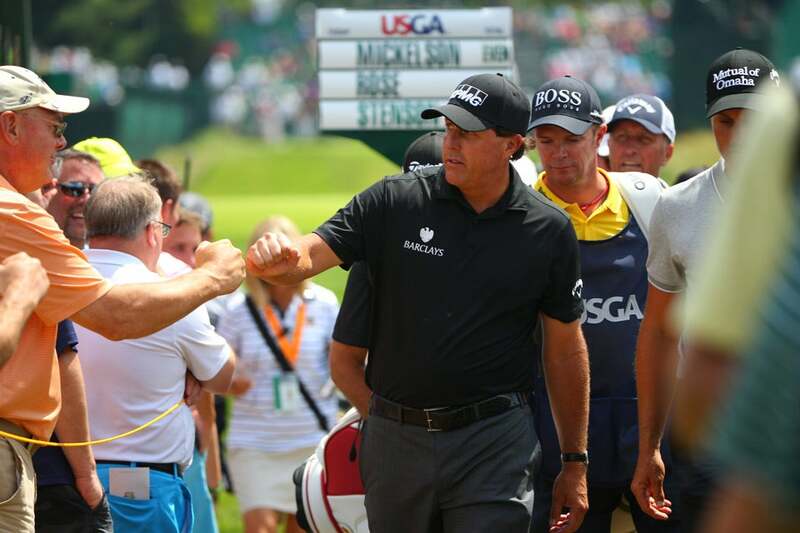 Mickelson interacts with his supporters before his first round on Friday. 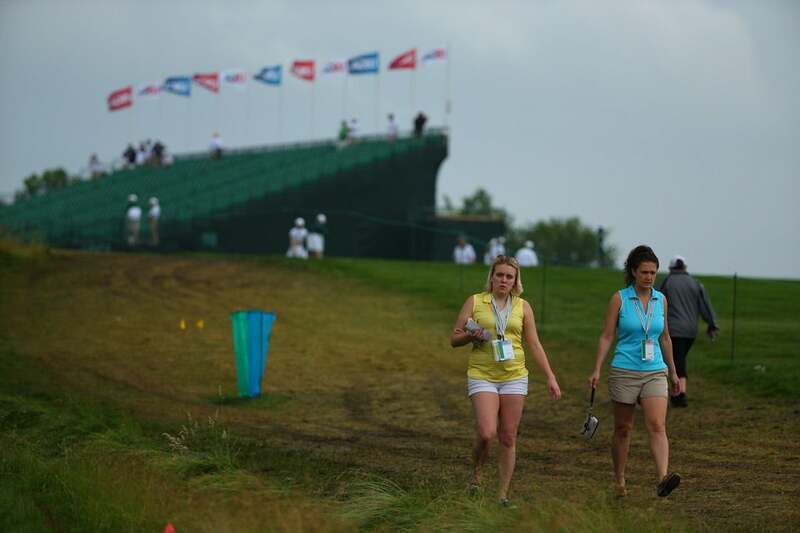 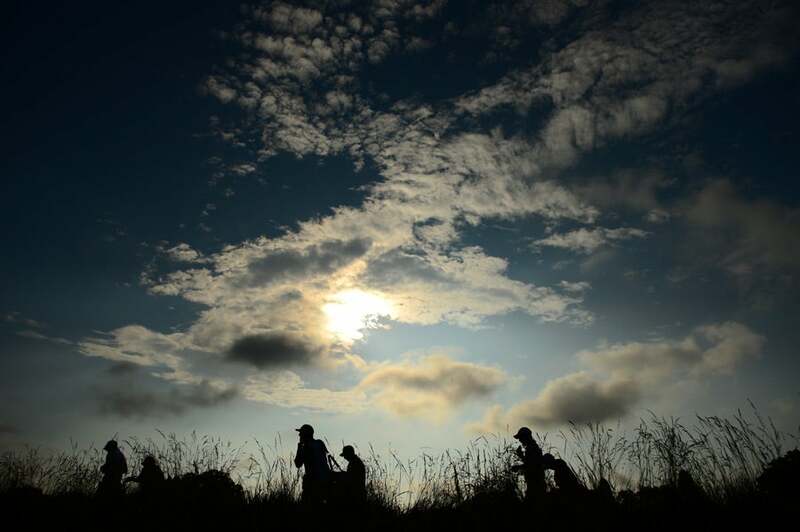 Fans trudge through mud that inundated the course after thunderstorms continued overnight. 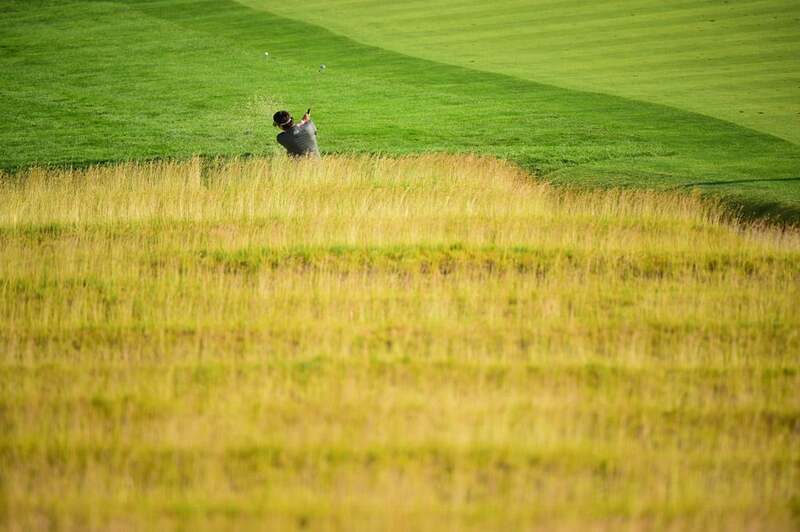 Ryan Moore on Friday at Oakmont. 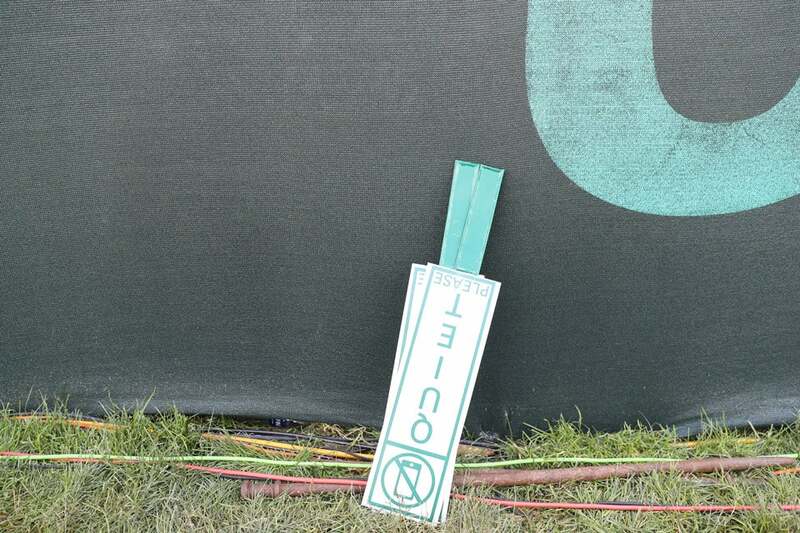 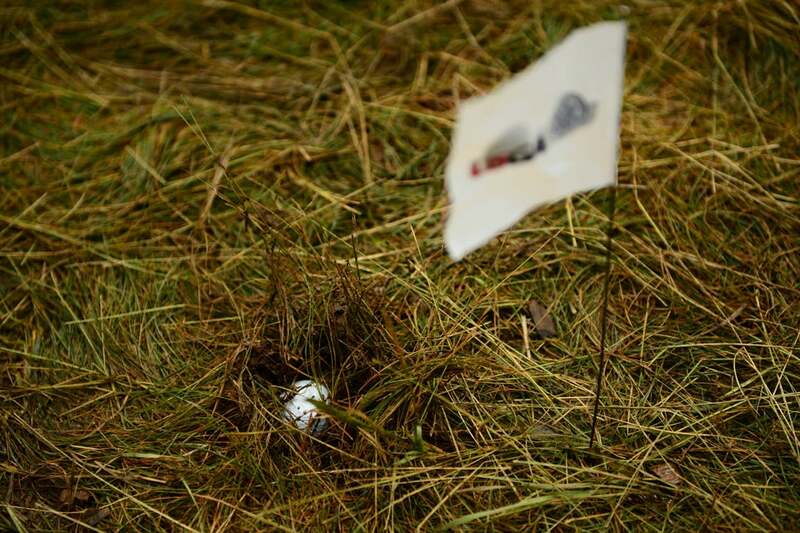 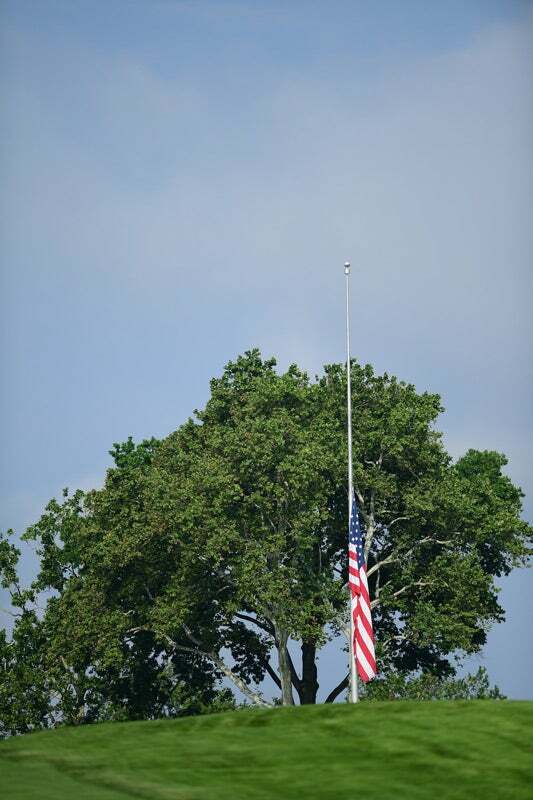 A flag marks the position of a golf ball mired in muddy rough Friday at the U.S. Open. 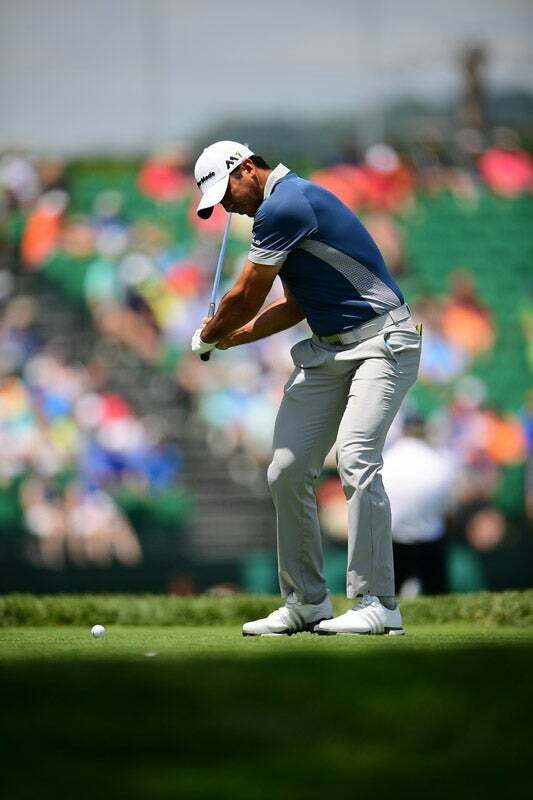 Charl Schwartzel tees off on the 10th hole. 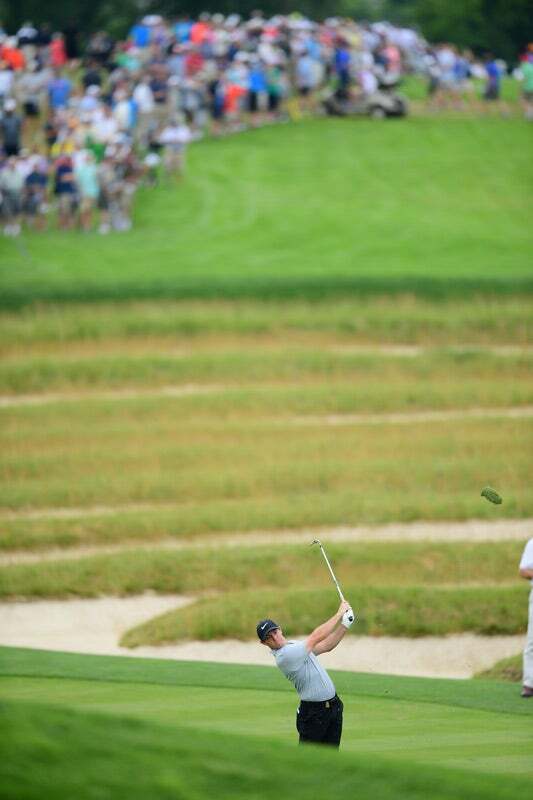 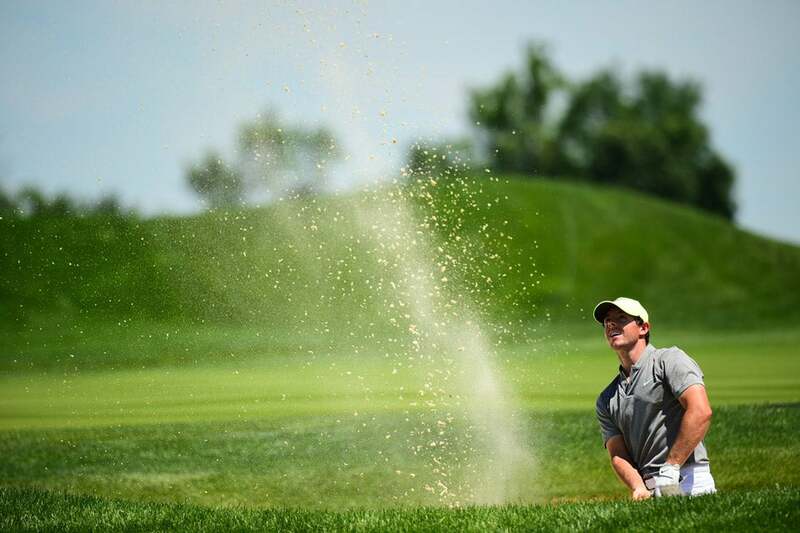 Max Kieffer during Friday play at the U.S. Open. 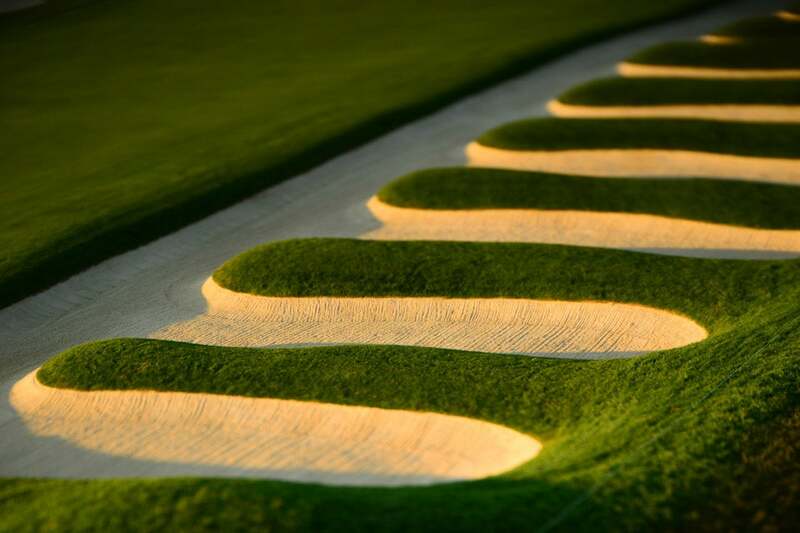 A view of the iconic church pew bunkers on Friday. 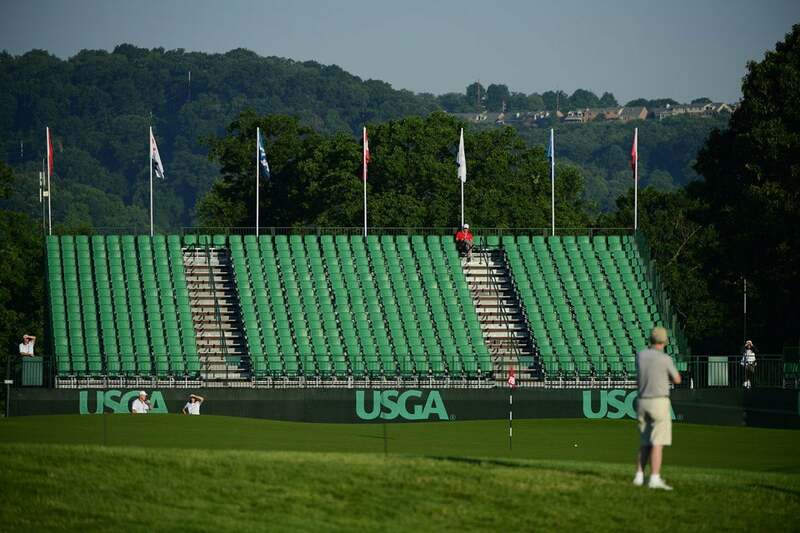 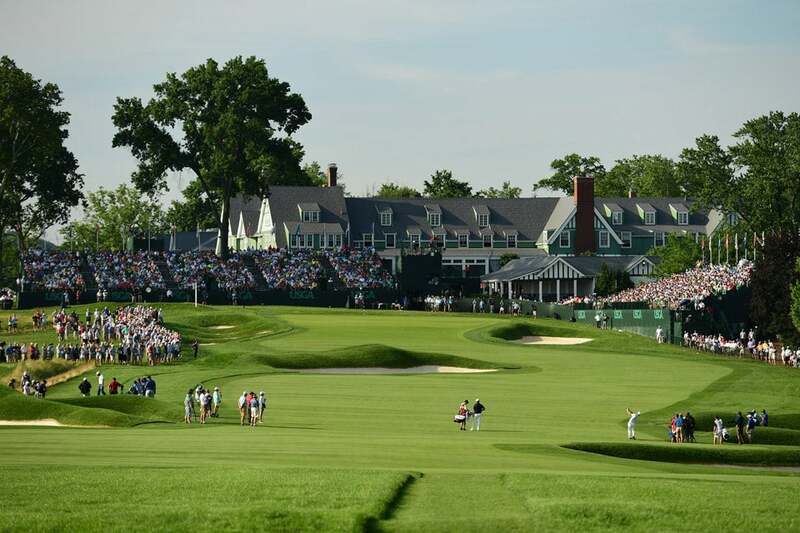 A scenic shot of Oakmont on a beautiful Friday morning at the U.S. Open. 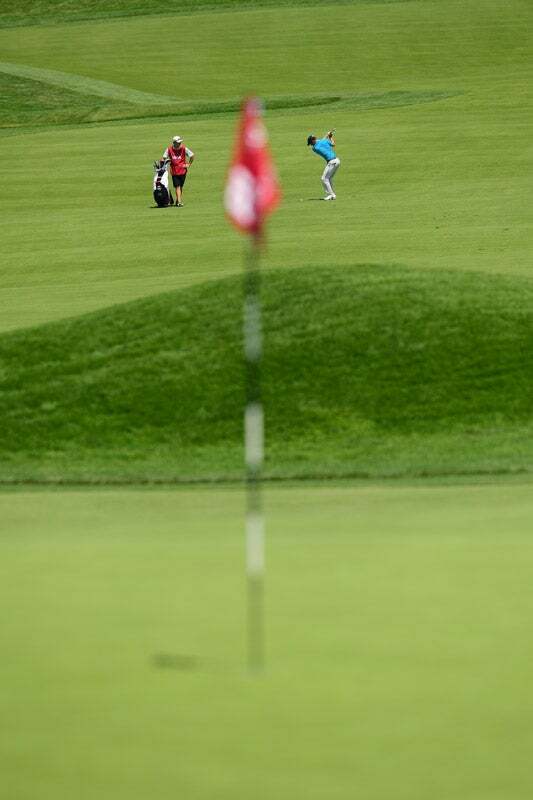 A view from behind the green as an approach shot is hit on Friday. 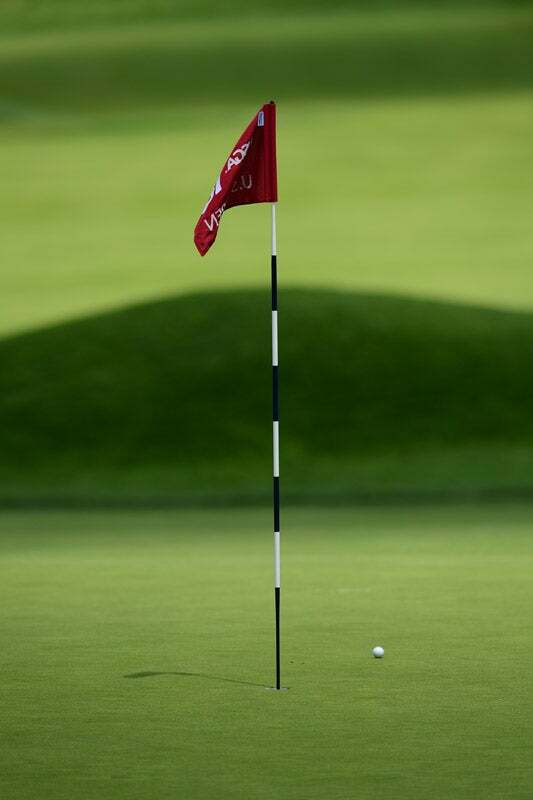 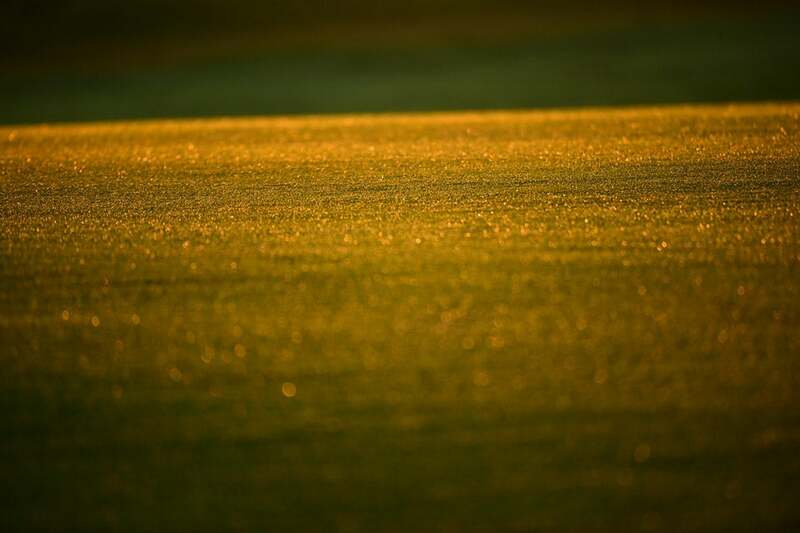 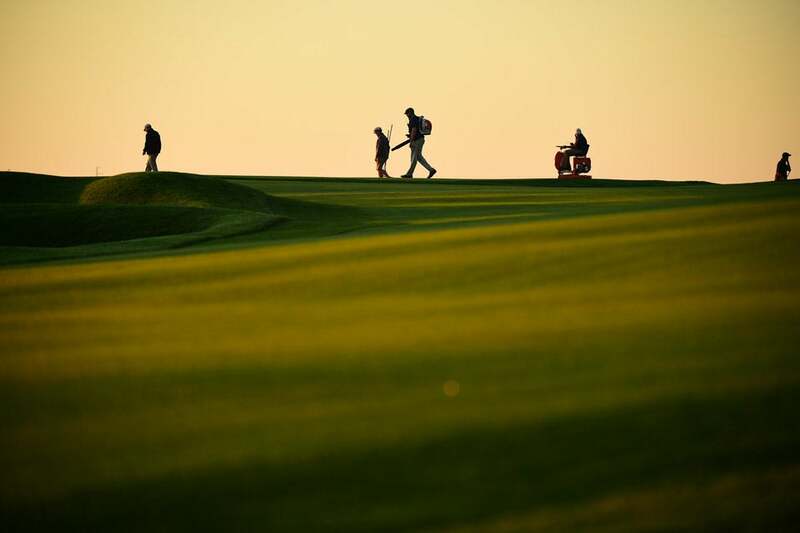 A ball sits near the hole during Friday play at Oakmont. 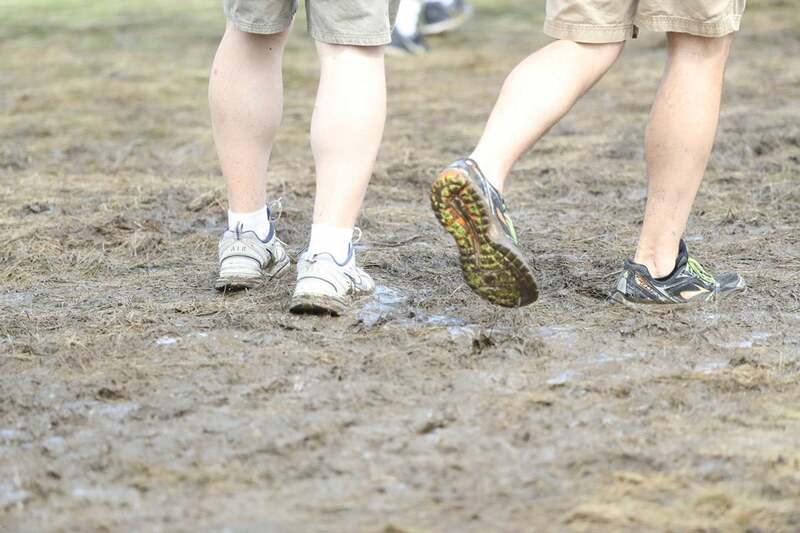 Fans walk the muddy course Friday morning. 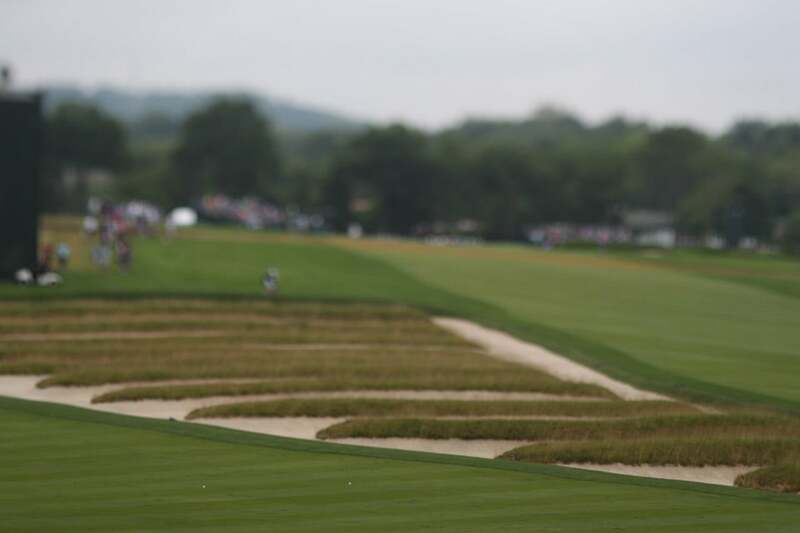 The rough is extremely thick and difficult to play out of this week at Oakmont. 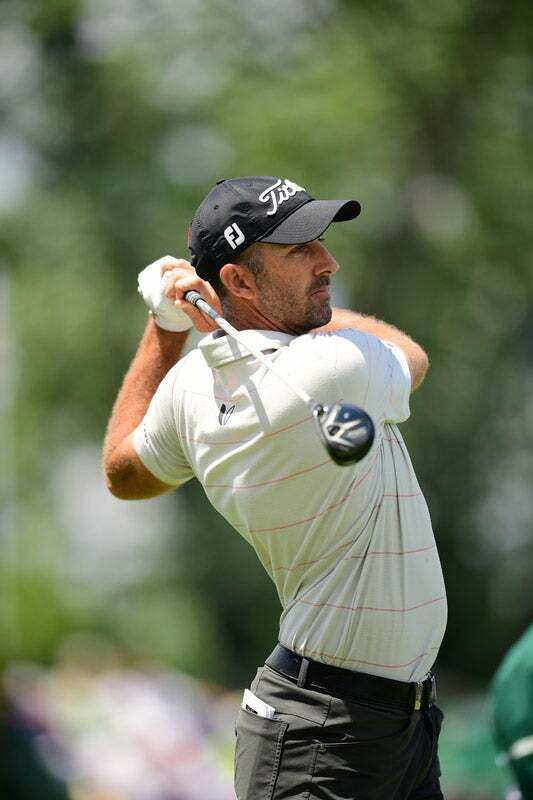 Former U.S. Open champion Geoff Ogilvy shot a 71 in his first round. 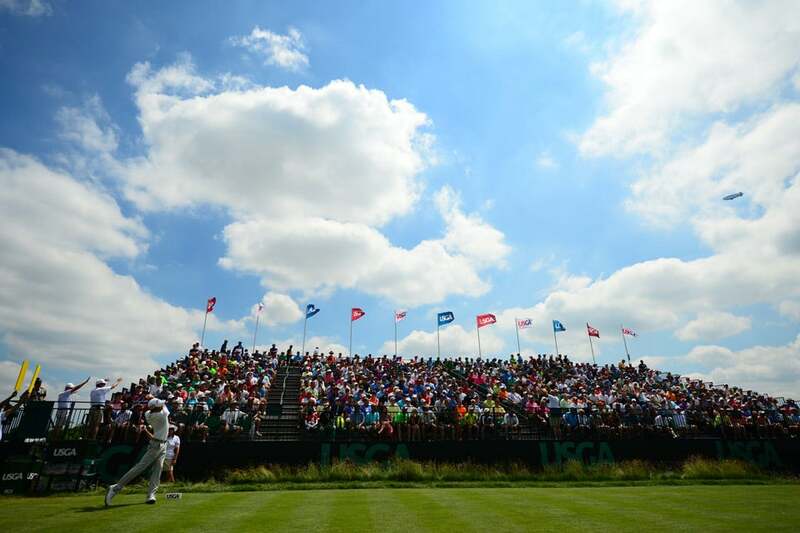 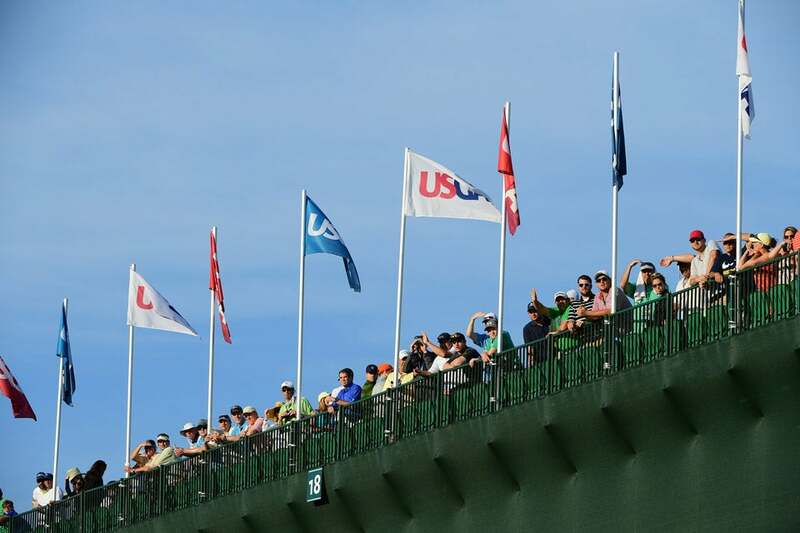 Fans packed the grandstands on Friday at the U.S. Open. 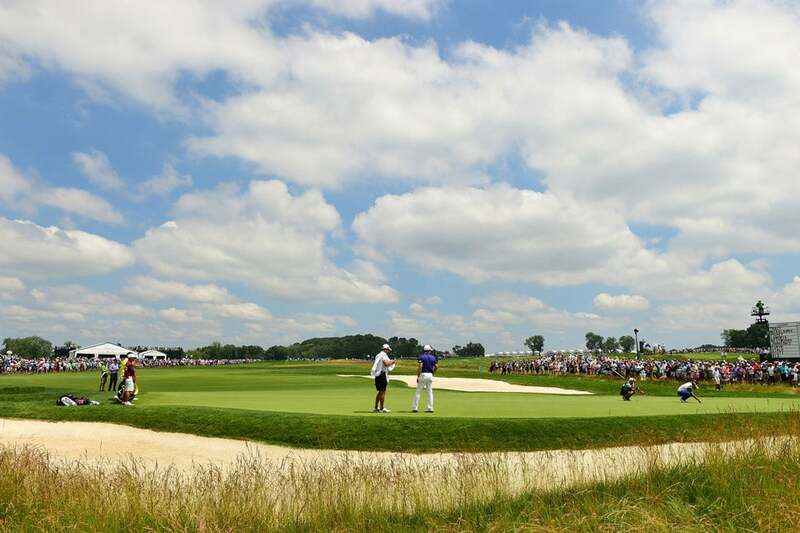 Friday at the 2016 U.S. Open. 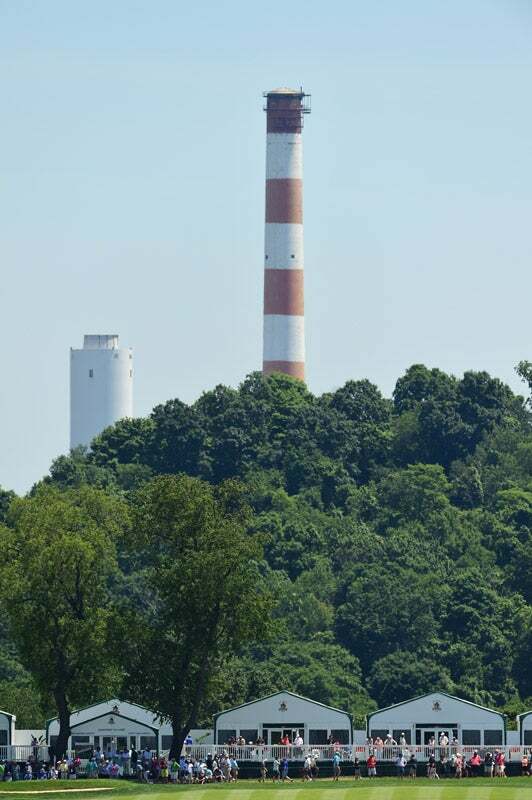 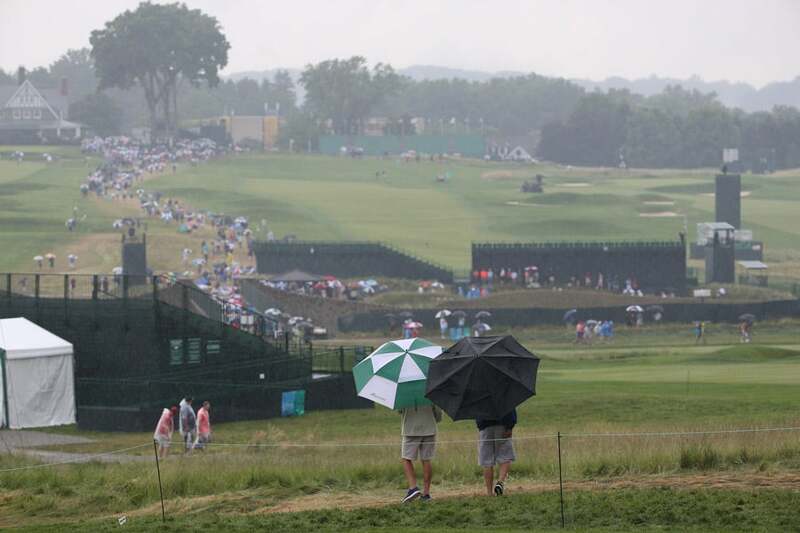 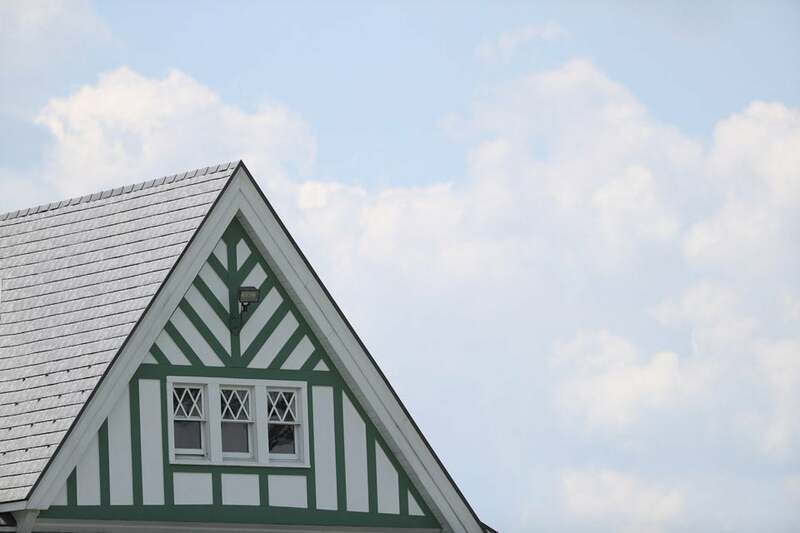 Thunderstorms plagued the first round of the U.S. Open at Oakmont Country Club. 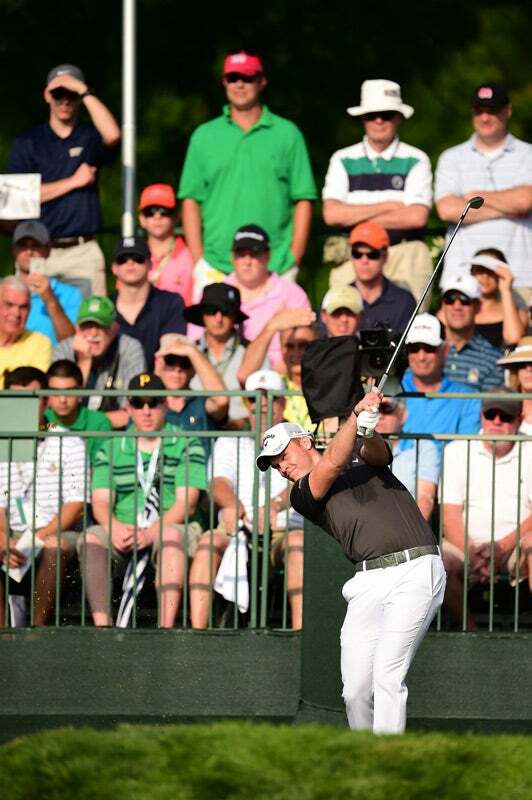 Rory McIlroy hits an iron shot during round 1. 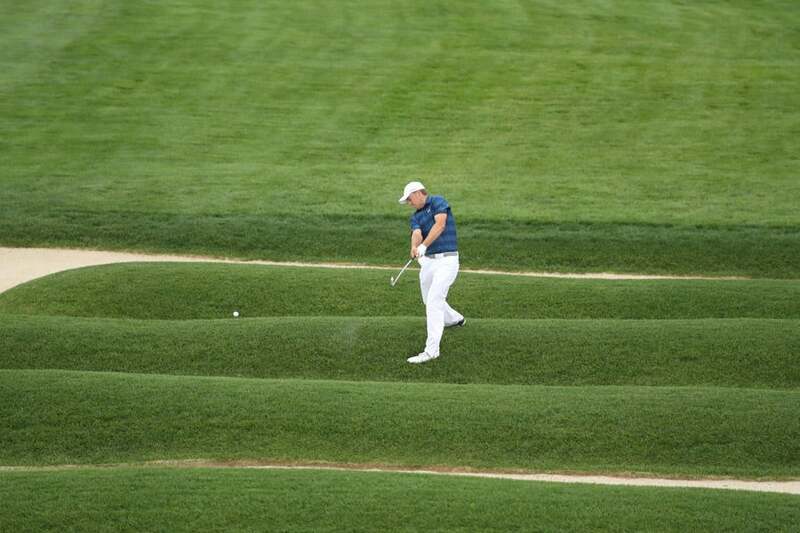 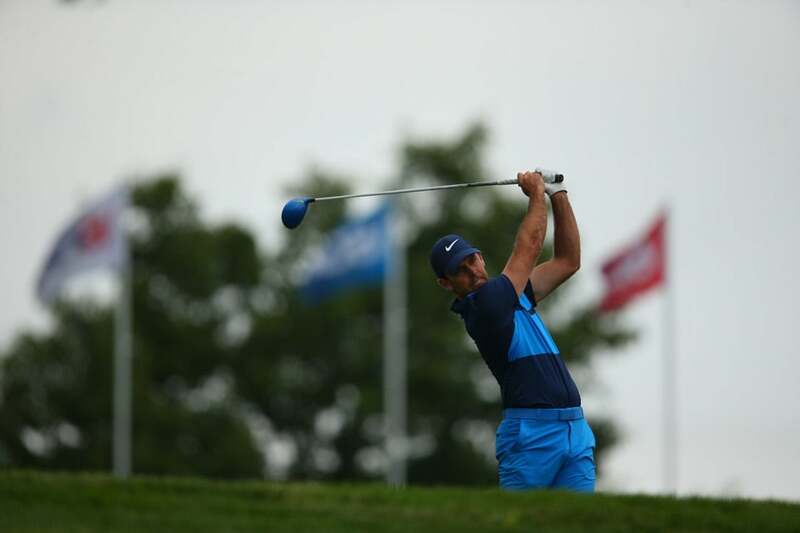 McIlroy does battle with the thick rough at Oakmont. 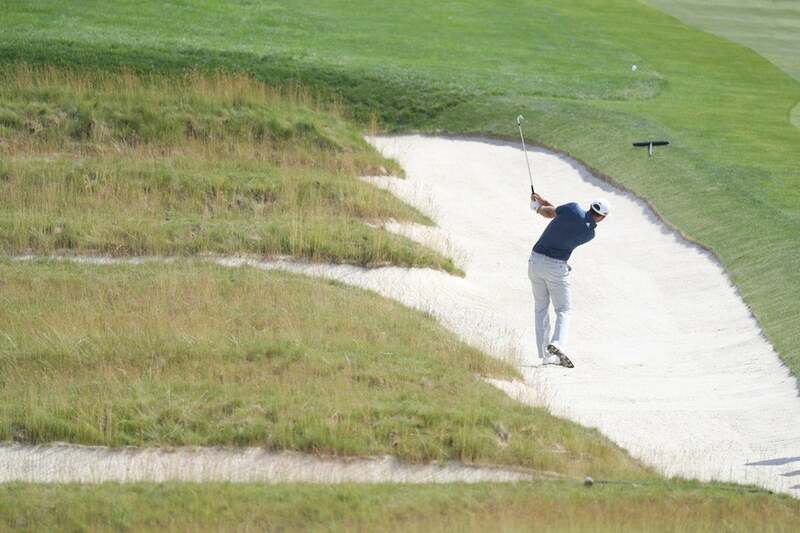 Defending champion Jordan Spieth hits out of the iconic church pew bunkers at Oakmont. 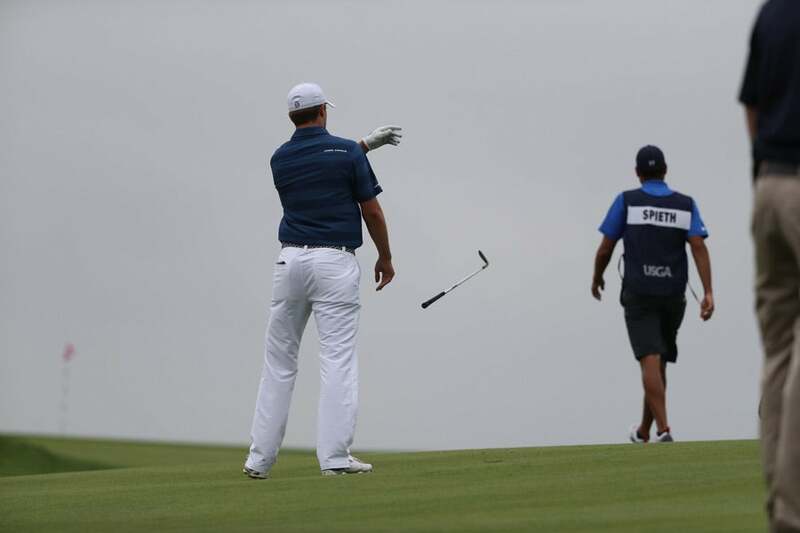 Spieth unhappy with the result of a shot during the first round. 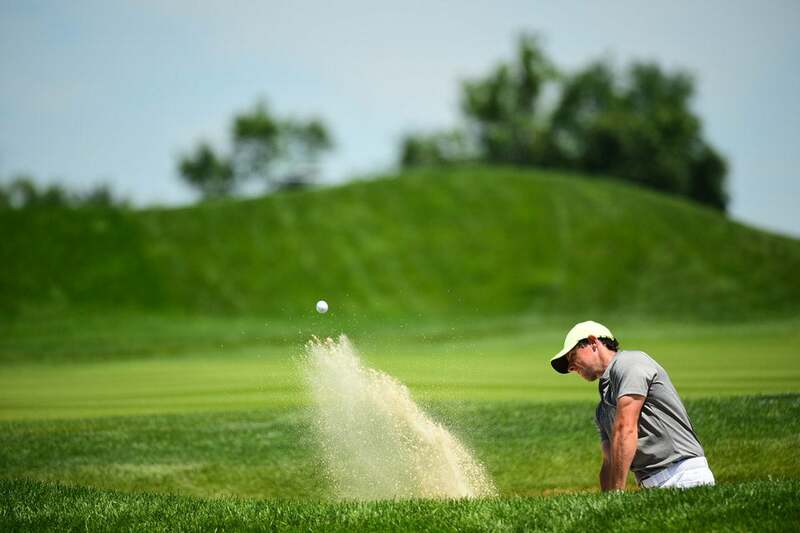 Danny Lee escapes a deep greenside bunker on Thursday. 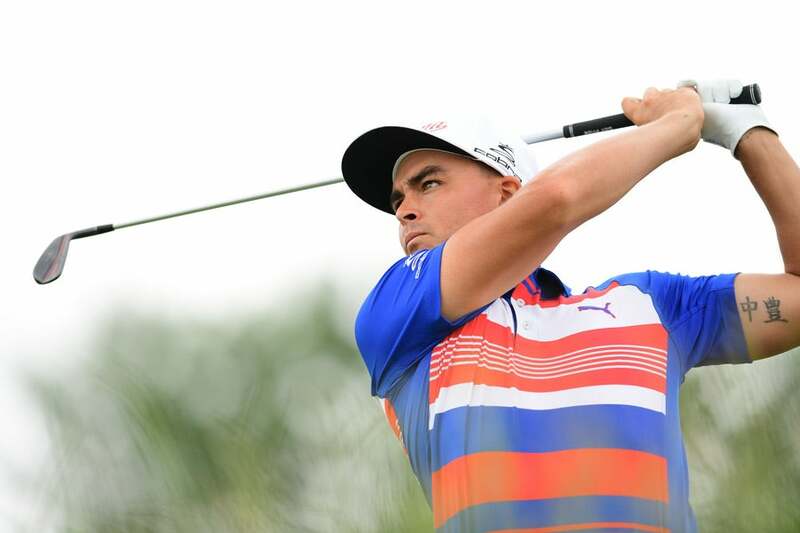 Rickie Fowler during the first round. 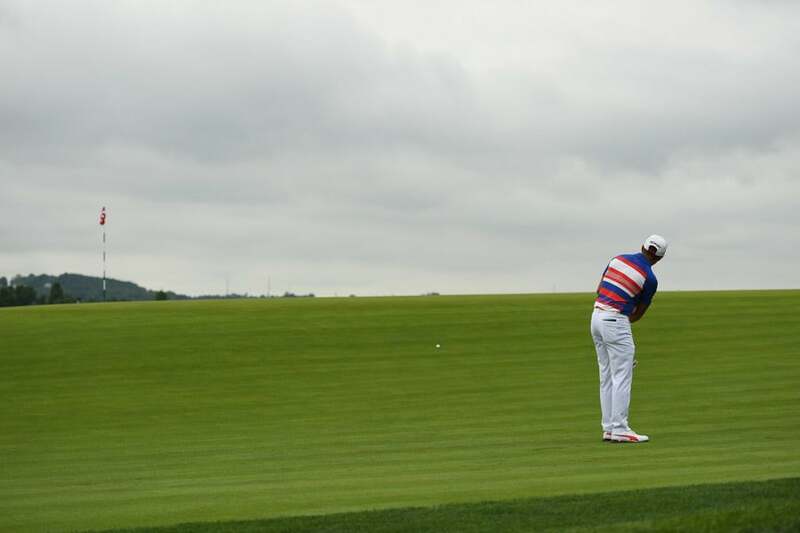 Fowler struggled on Thursday. 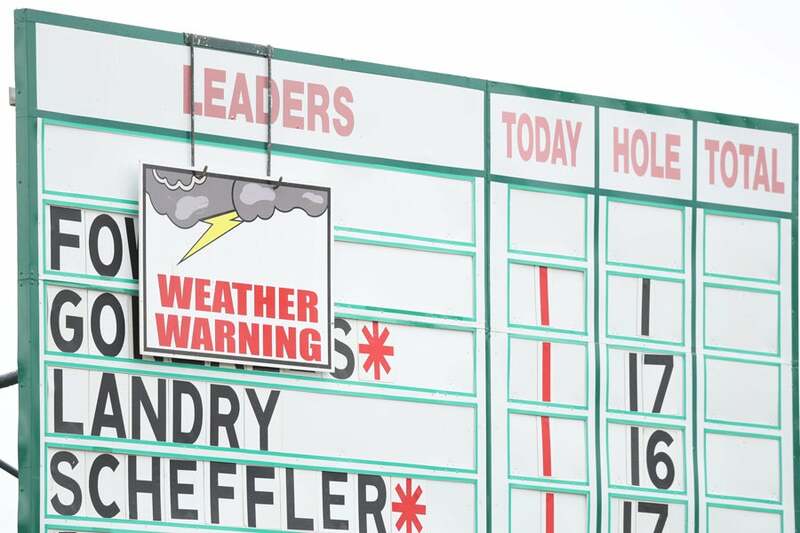 His round was interrupted three different times by weather delays. 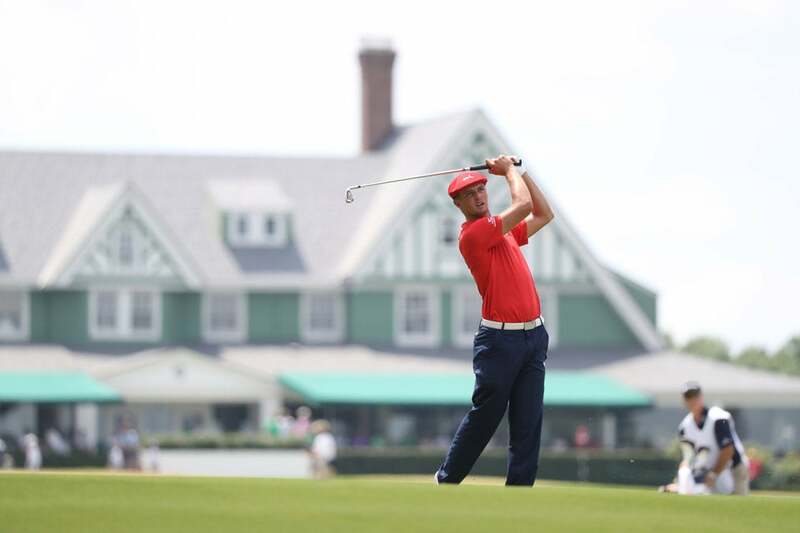 Bryson DeChambeau on Thursday during the first round. 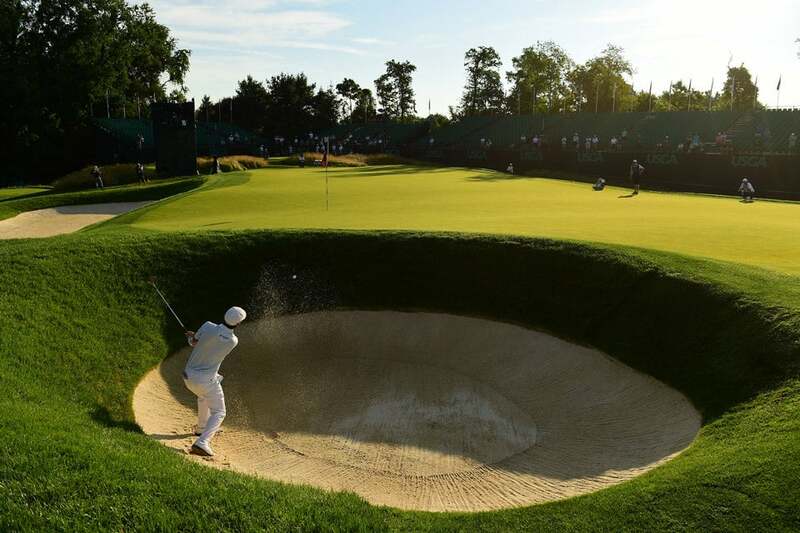 Bubba Watson hits out of a bunker. 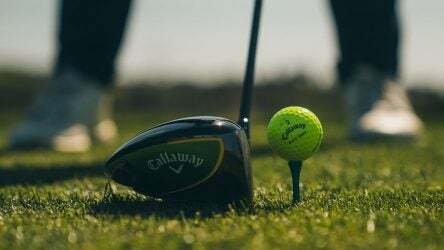 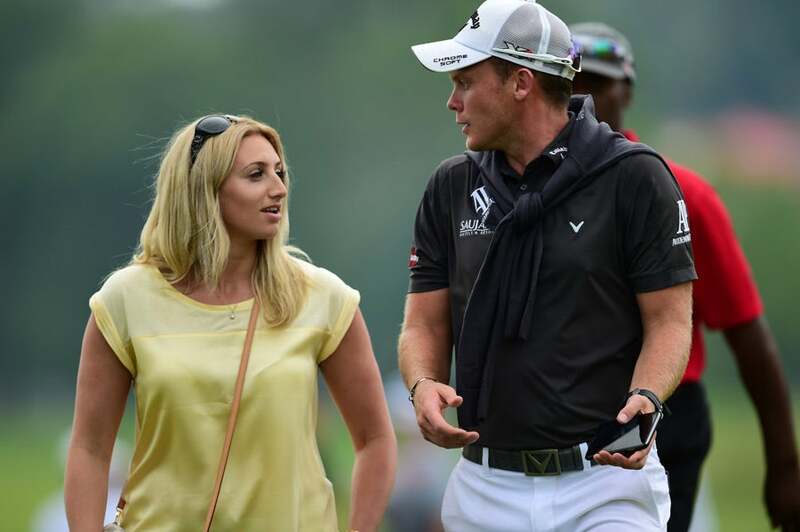 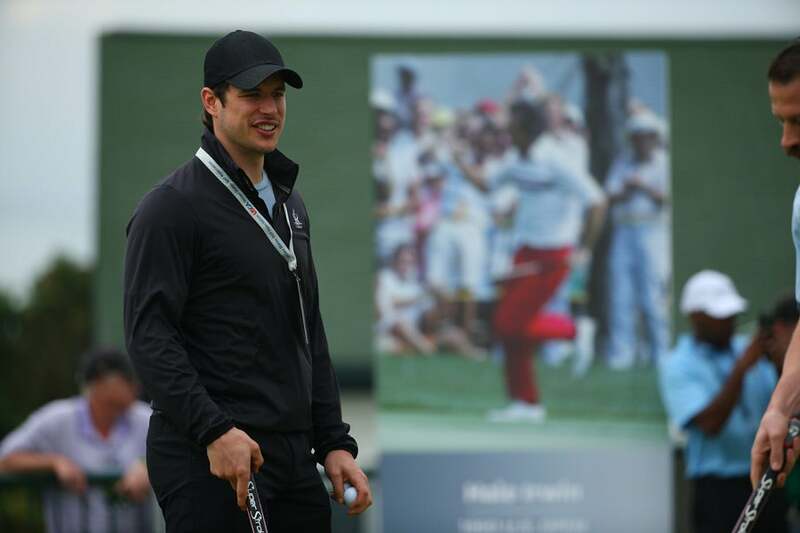 Masters champion Danny Willett tees off on Thursday. 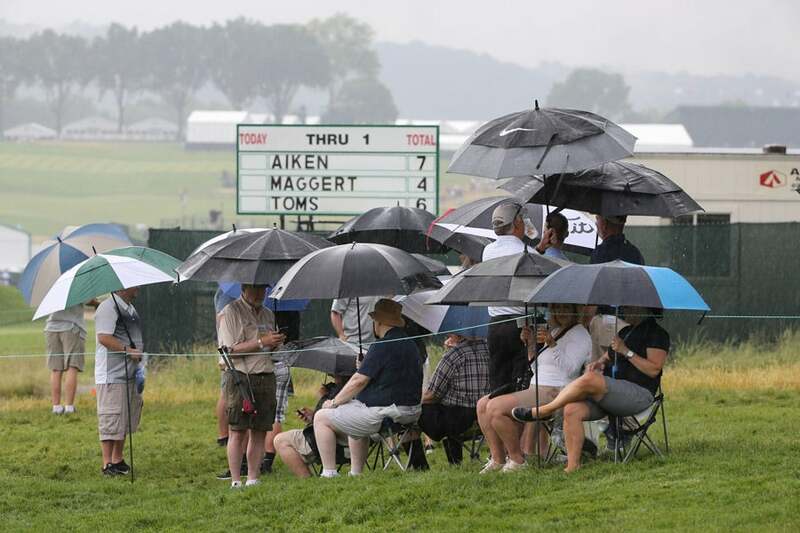 Willett waits out one of three weather delays on Thursday. 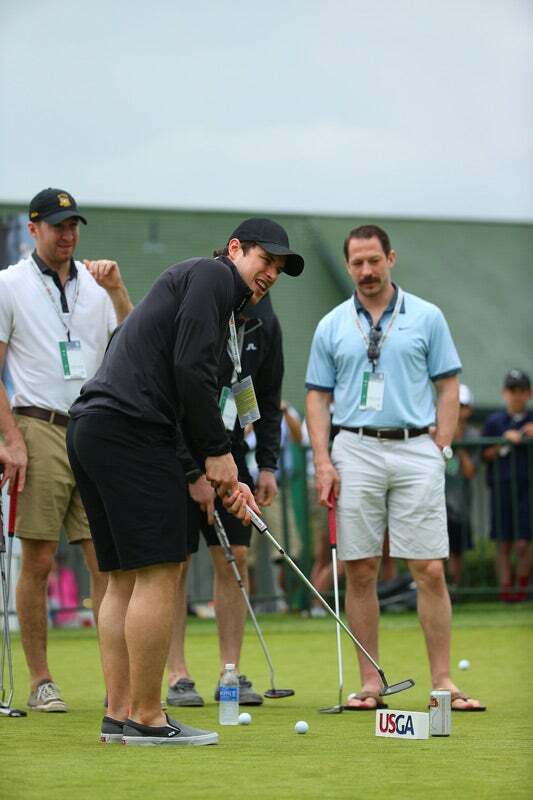 Some of the recently crowned Stanley Cup champion Pittsburgh Penguins were onsite to enjoy the first round, including captain Sidney Crosby.